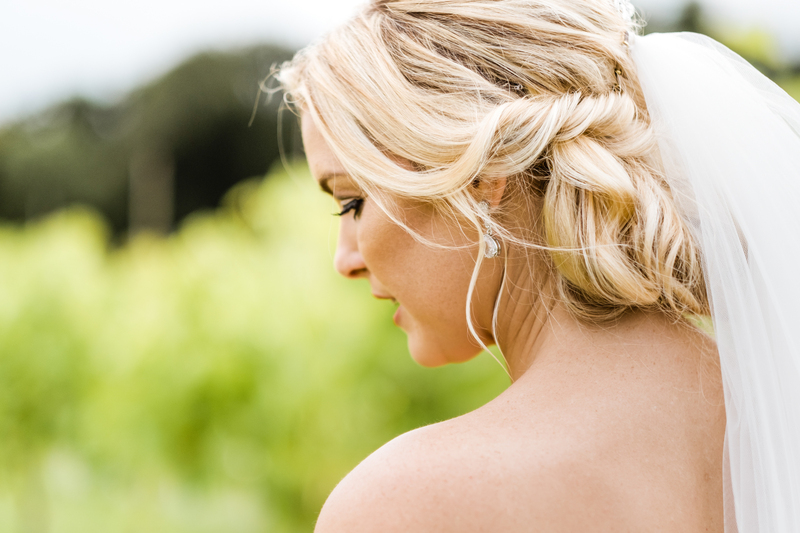 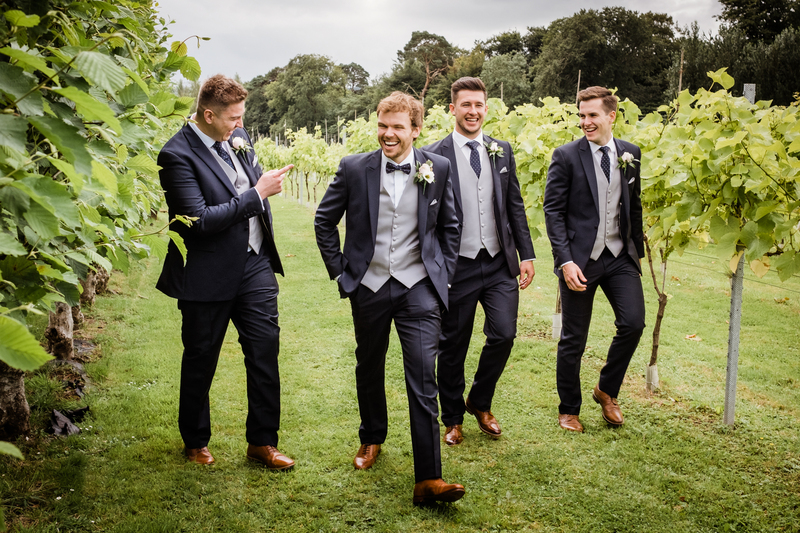 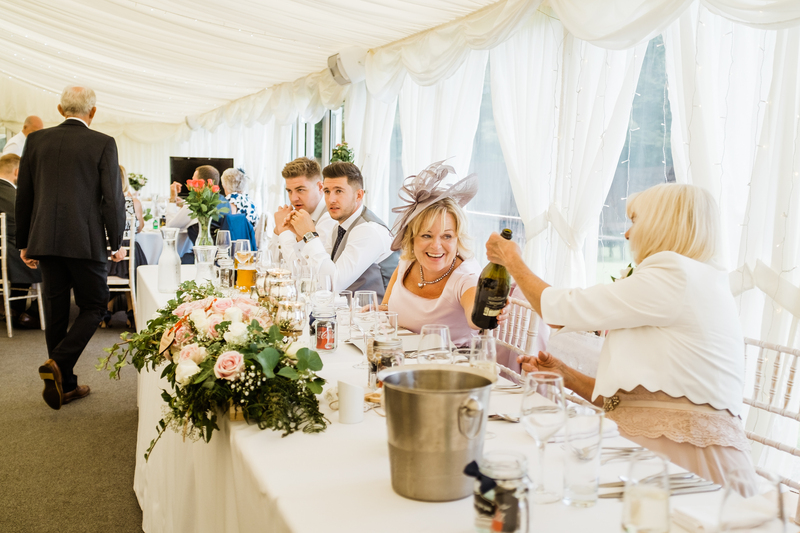 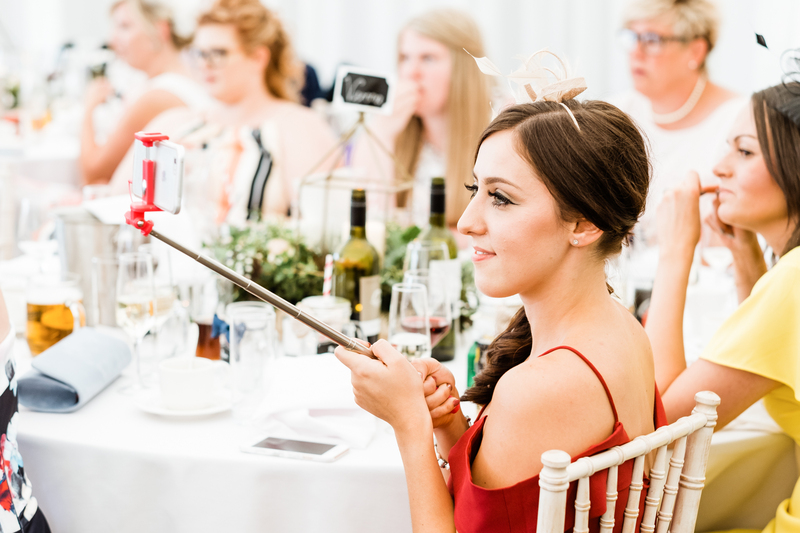 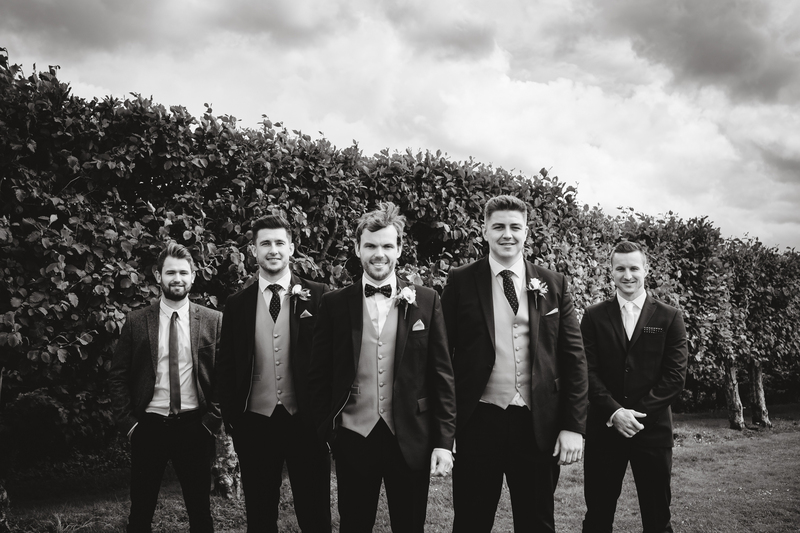 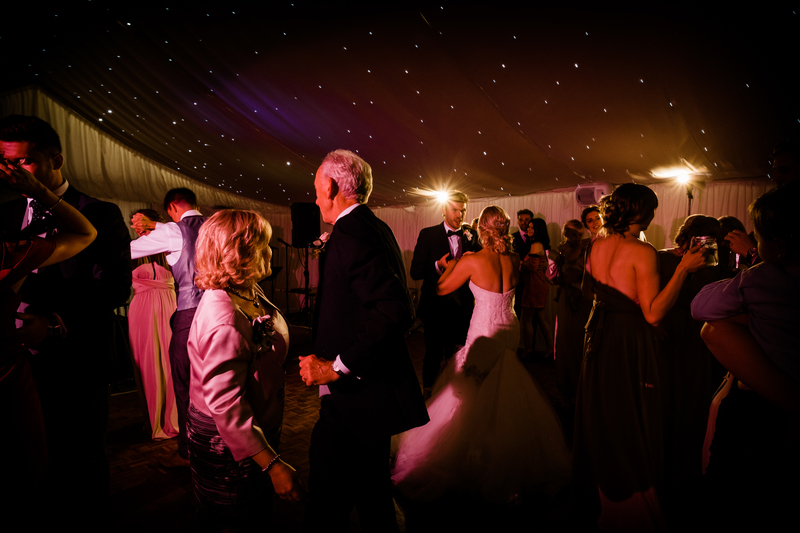 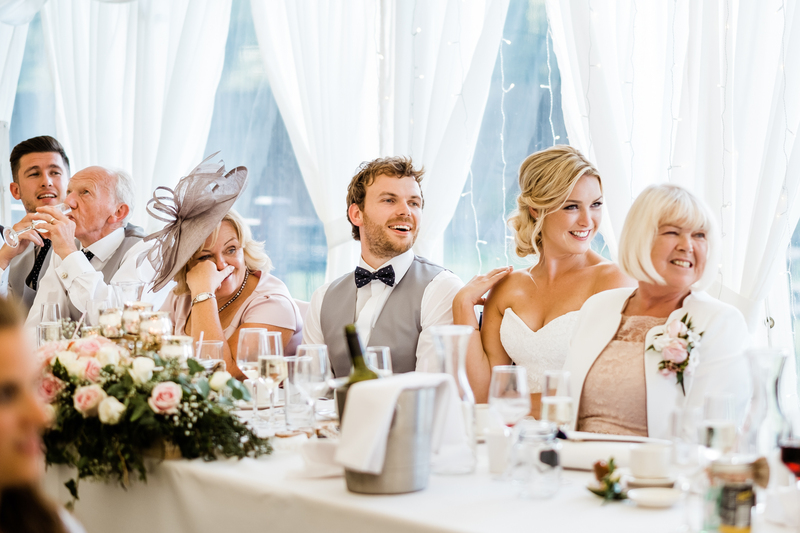 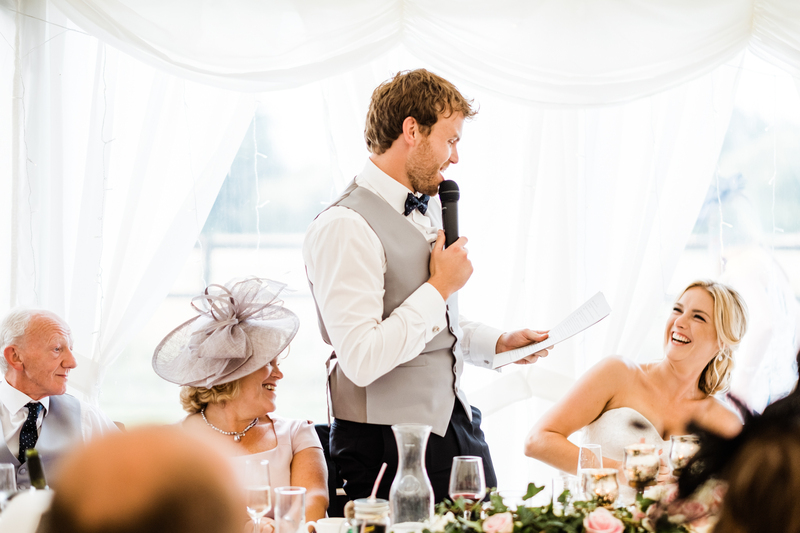 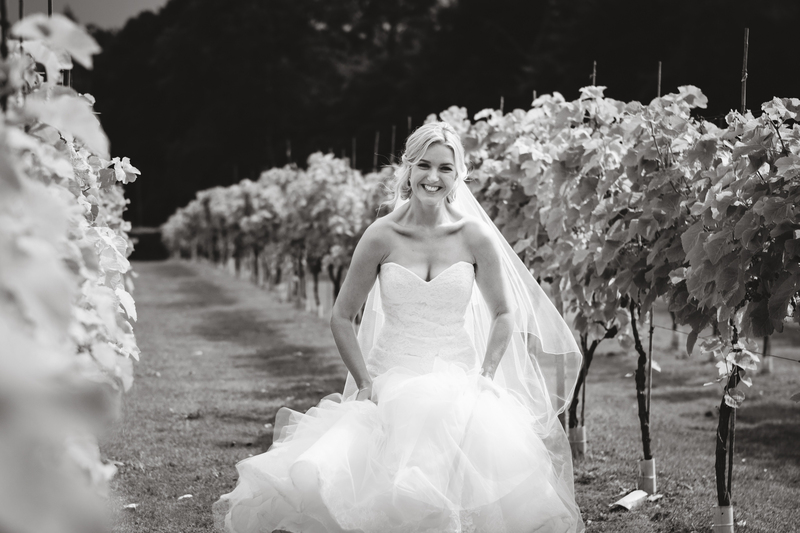 Llanerch Vineyard Wedding South Wales is a fantastic wedding venue! 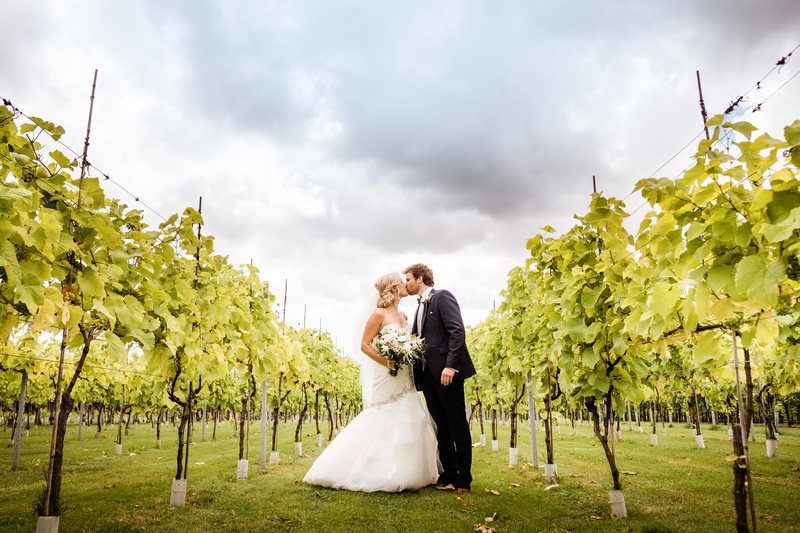 The layout at Llanerch Vineyard offers couples a variety of settings for the different elements of their day. 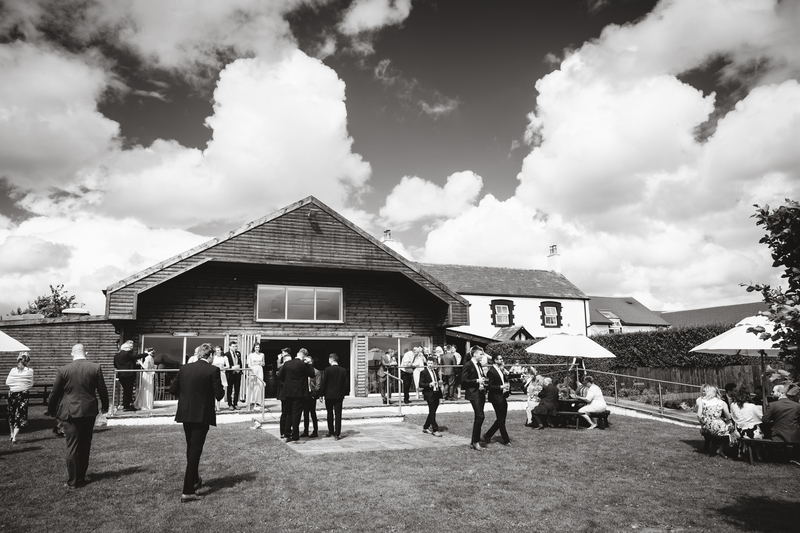 The impressive Calon Lodge looks out onto rows of vines, perfect for relaxing with canapés and drinks for your guests. 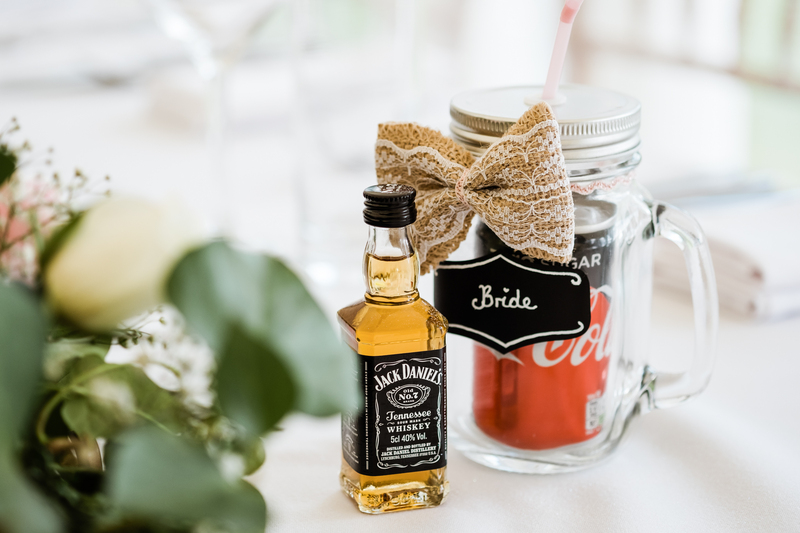 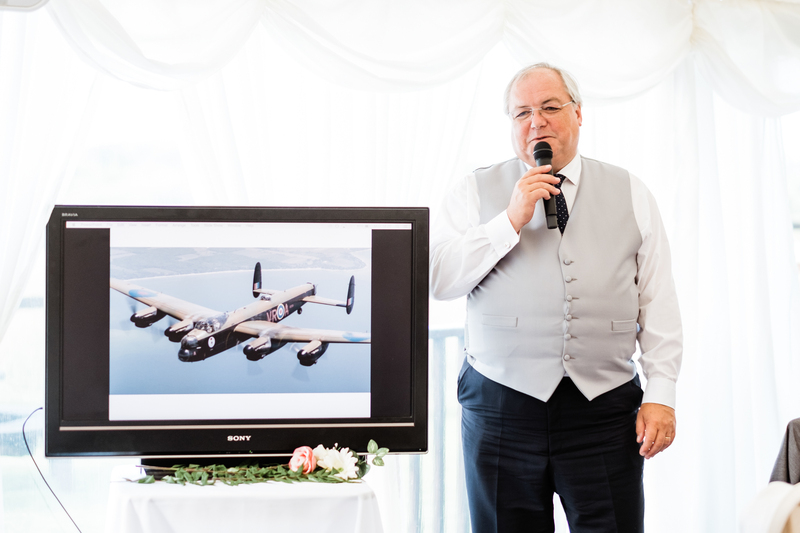 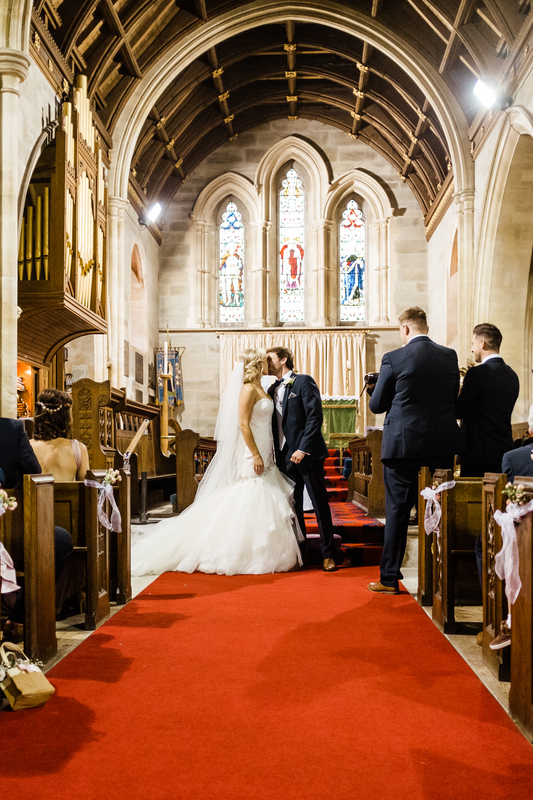 It also has the perfect room for civil ceremonies. 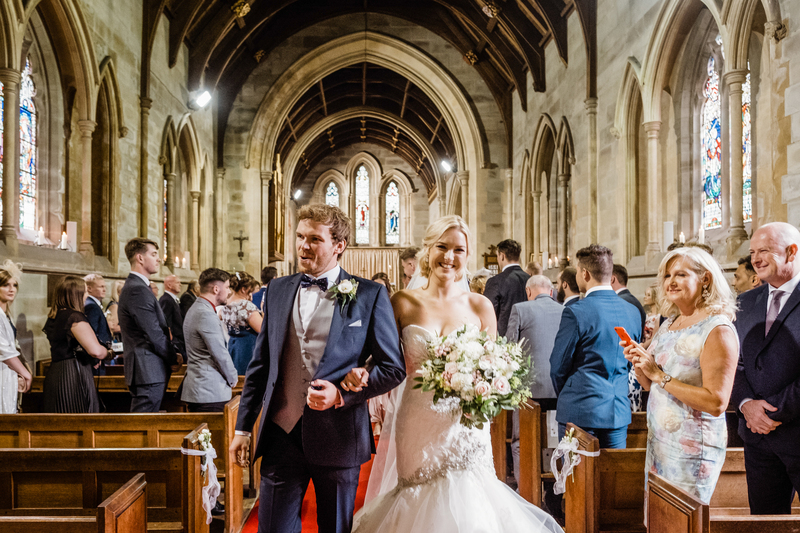 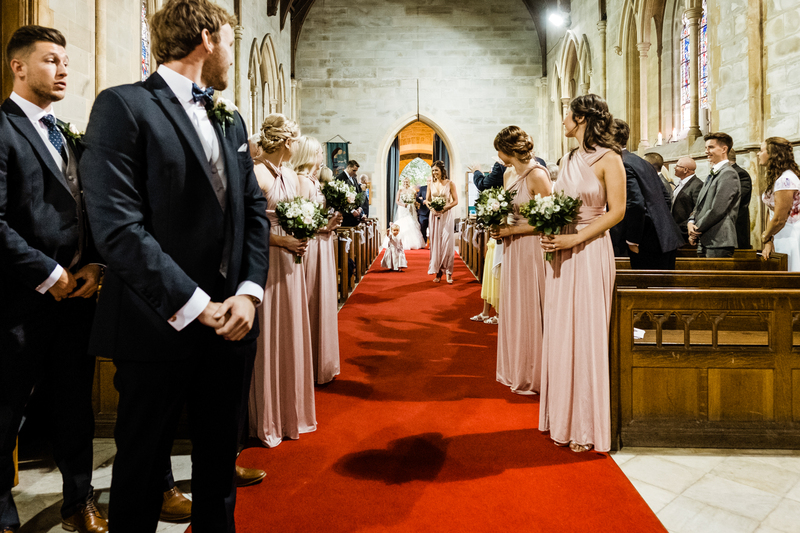 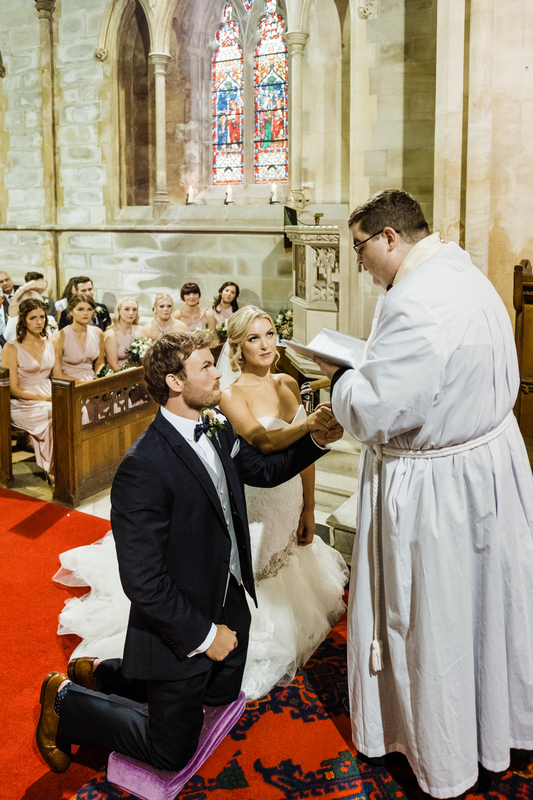 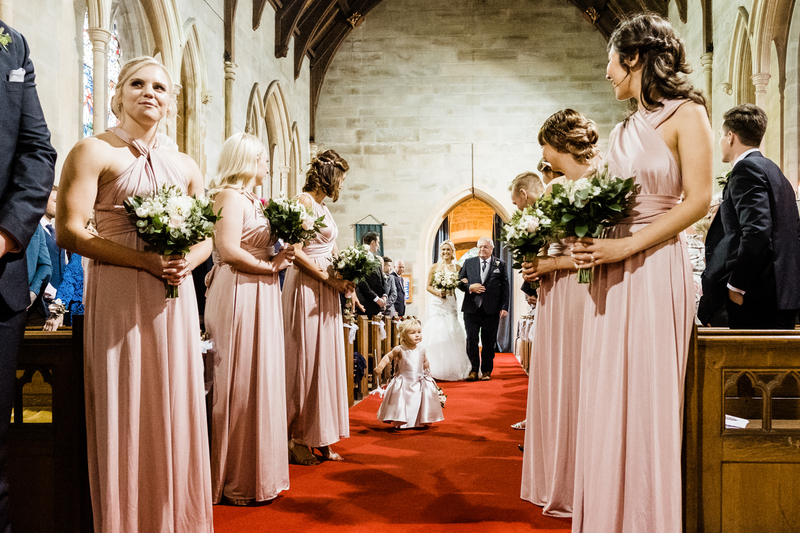 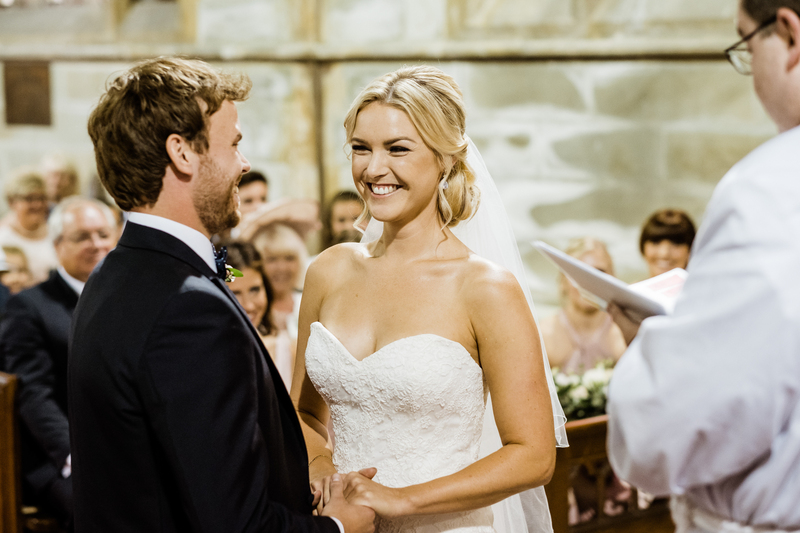 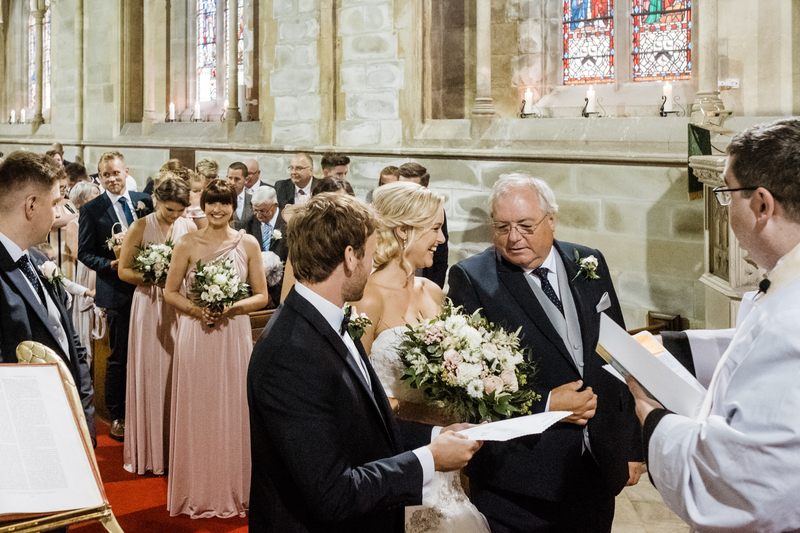 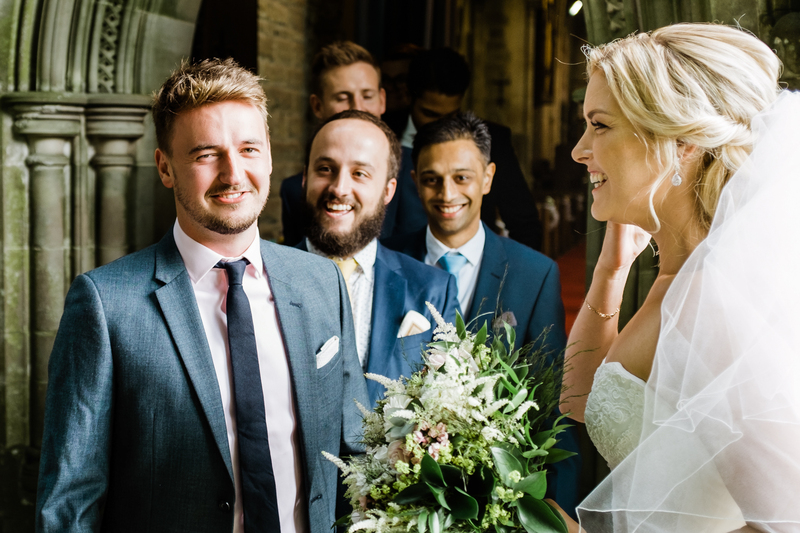 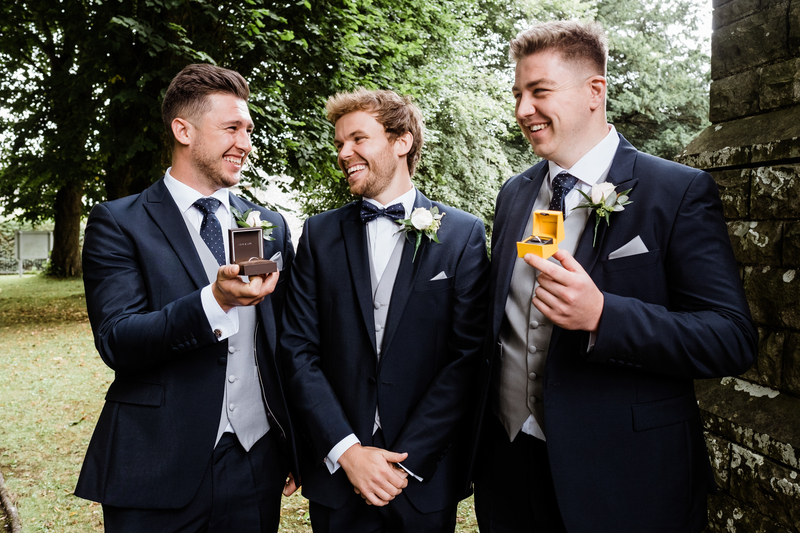 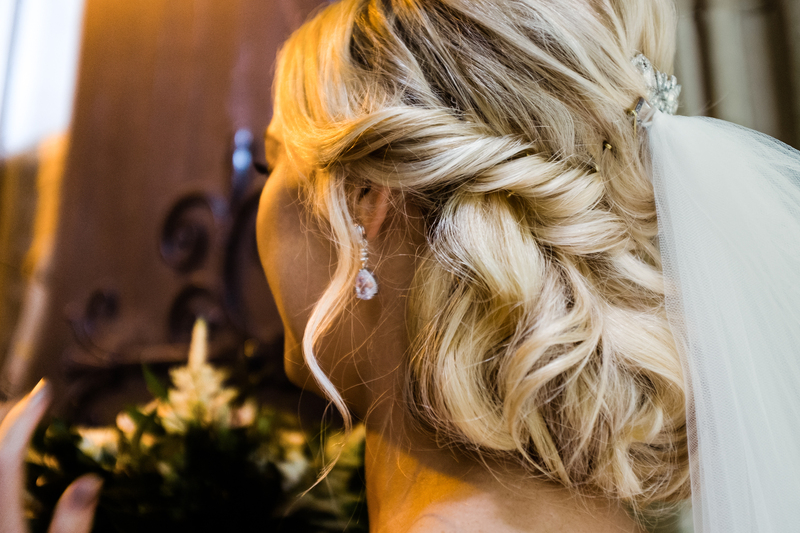 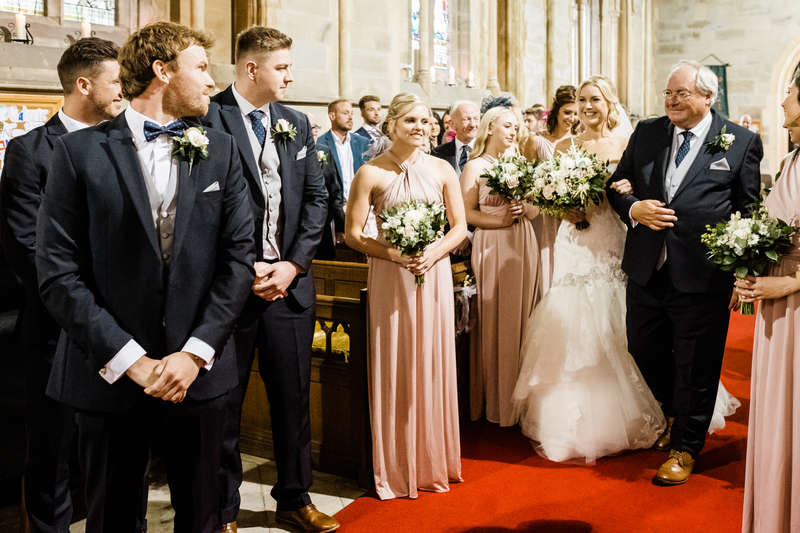 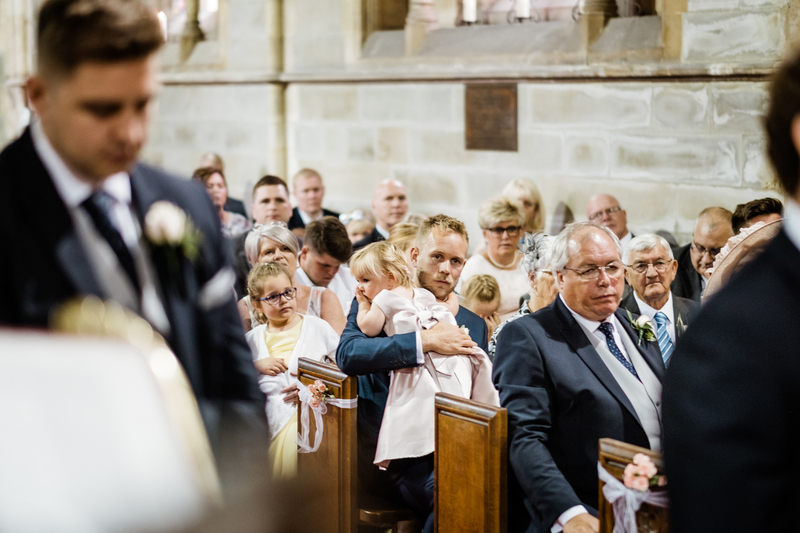 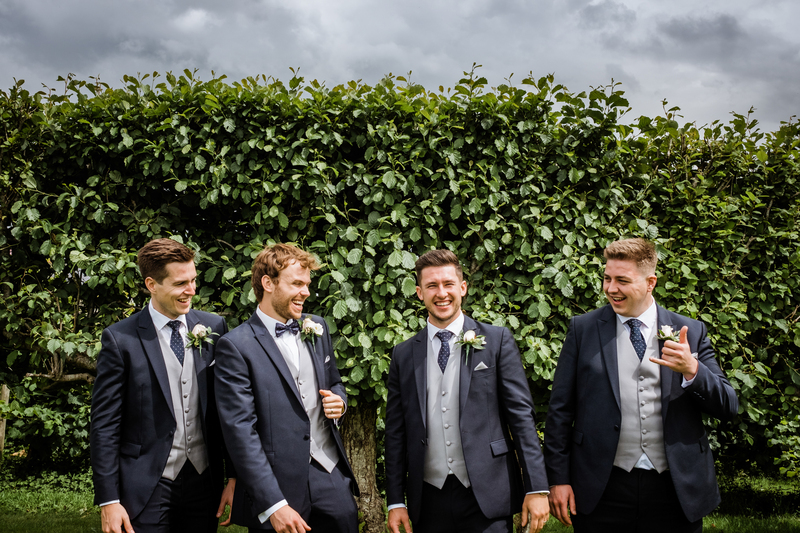 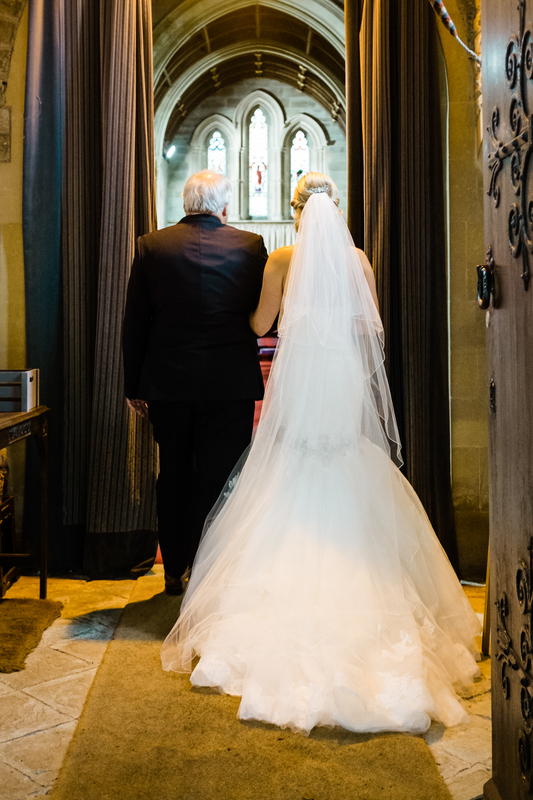 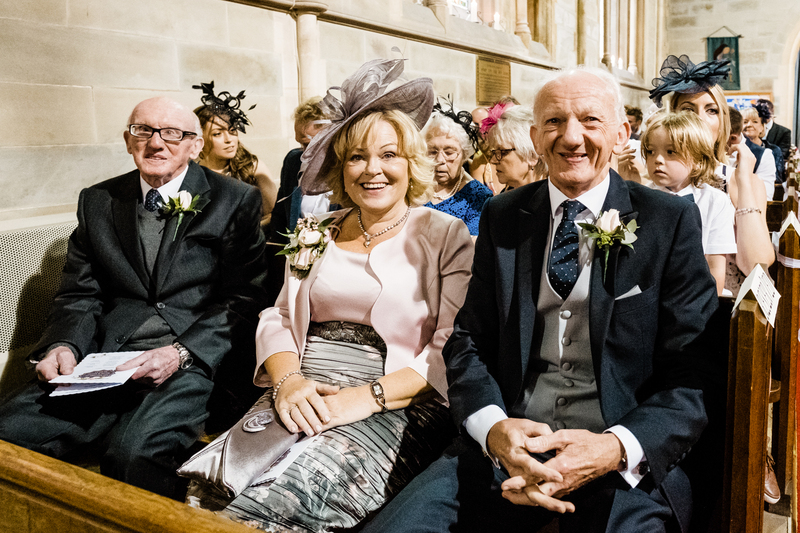 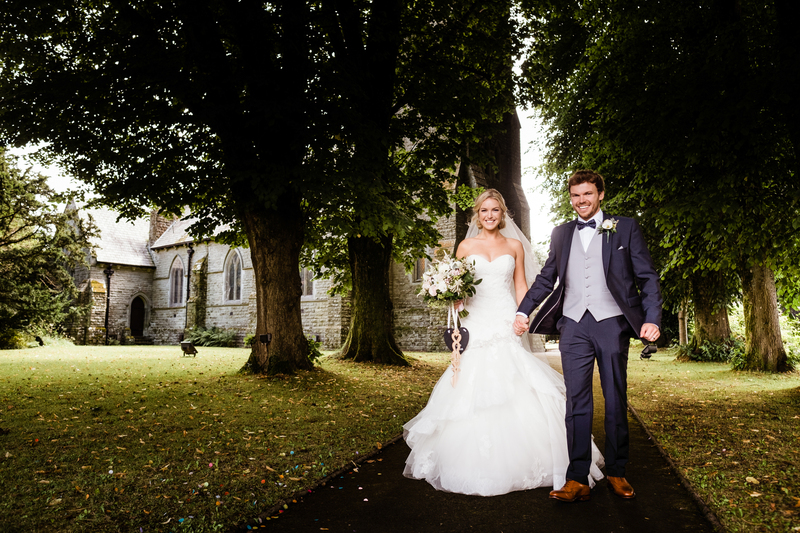 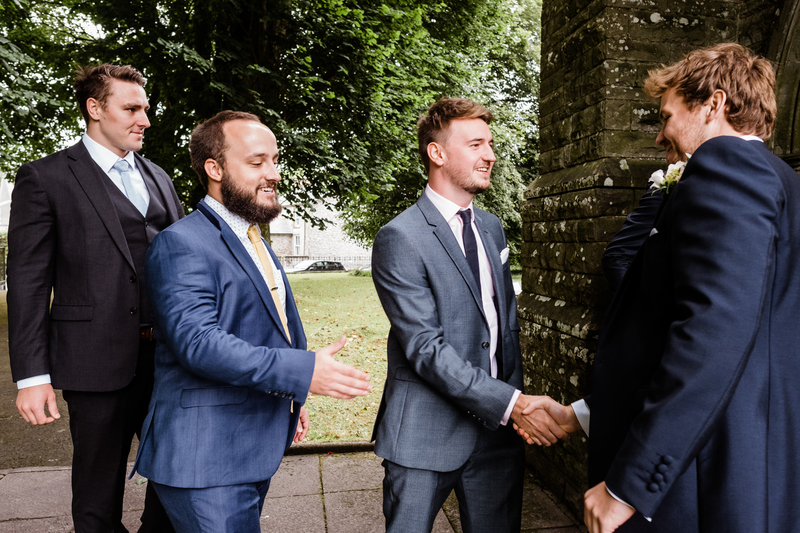 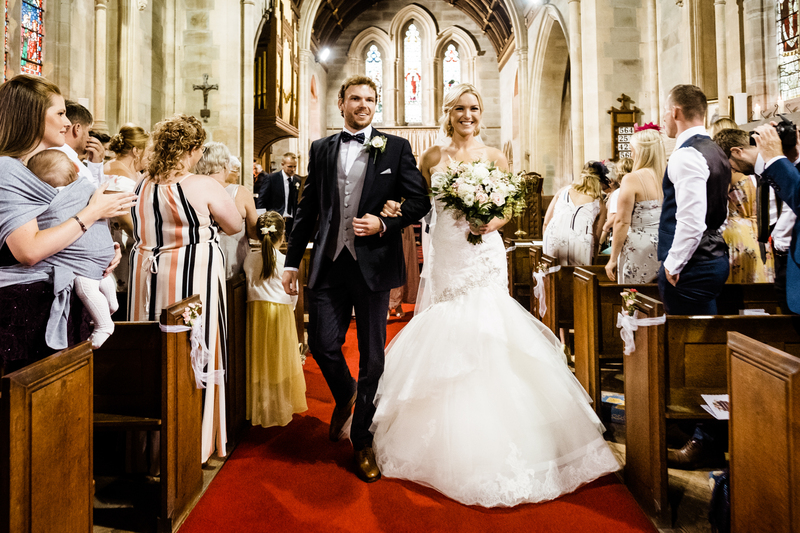 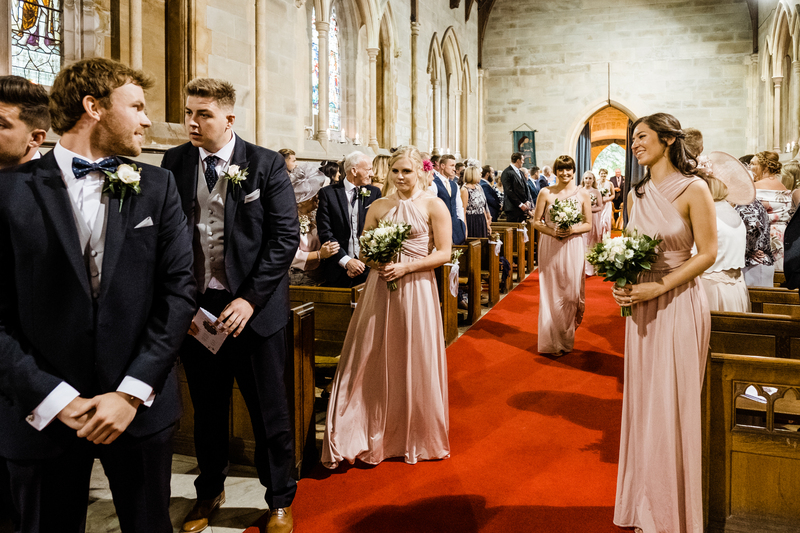 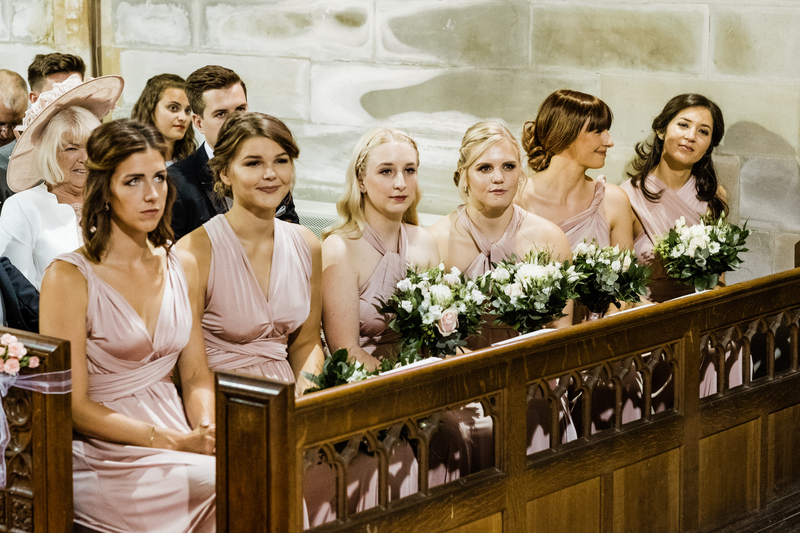 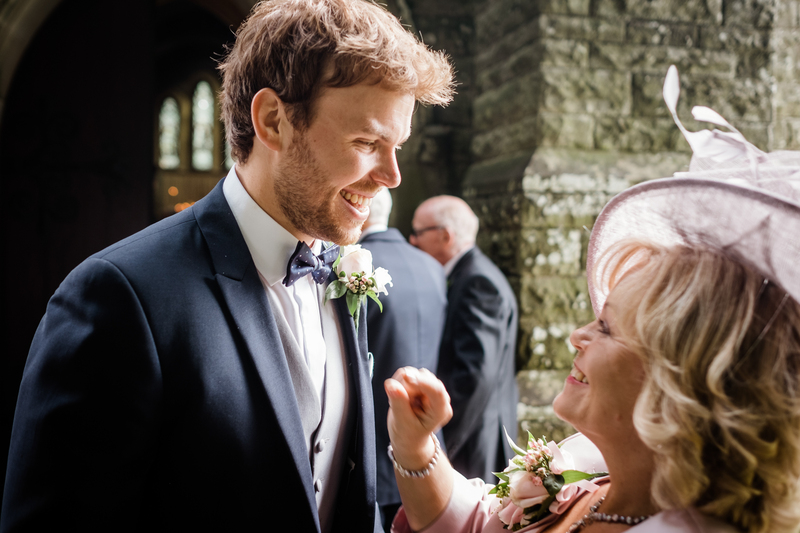 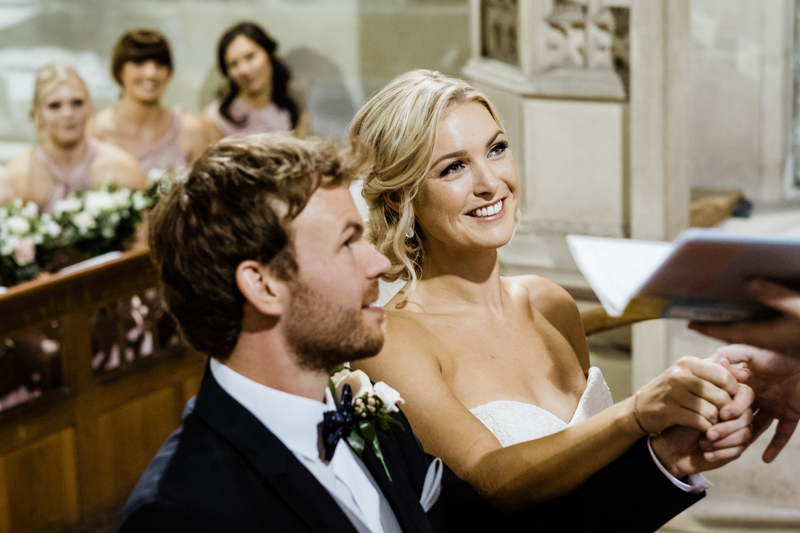 However Nicola & Dan chose to be married at the lovely St David’s Church in Miskin. 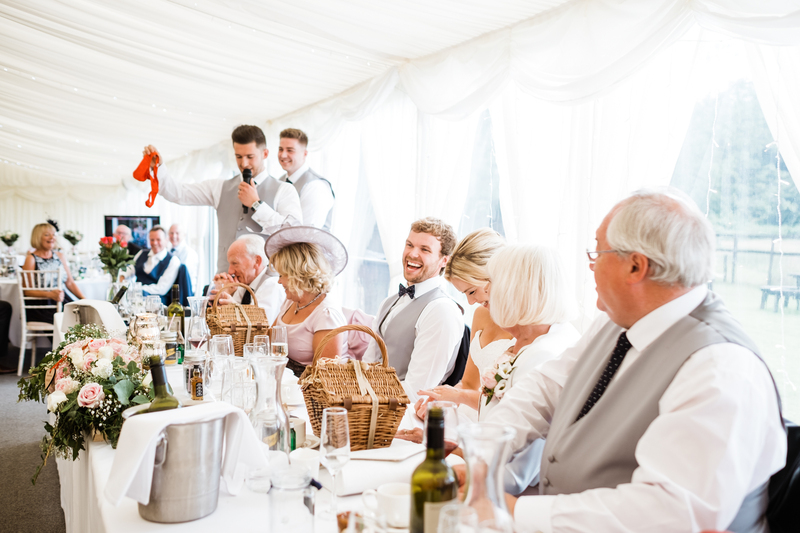 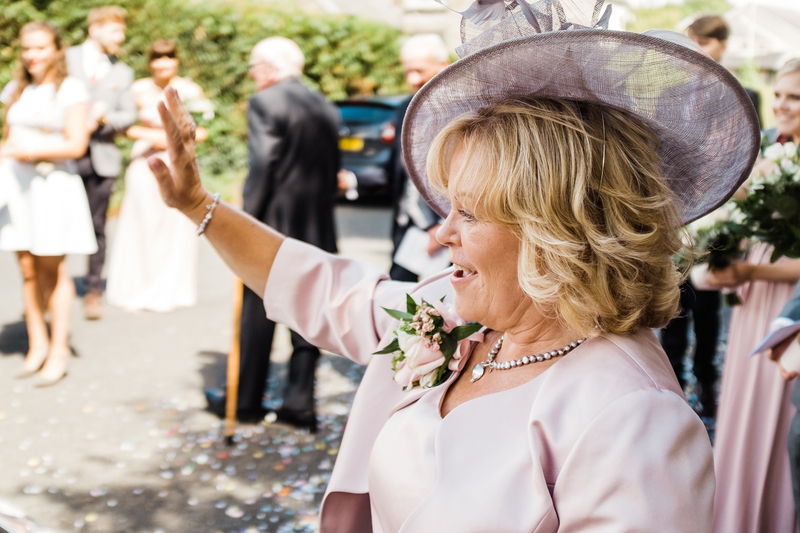 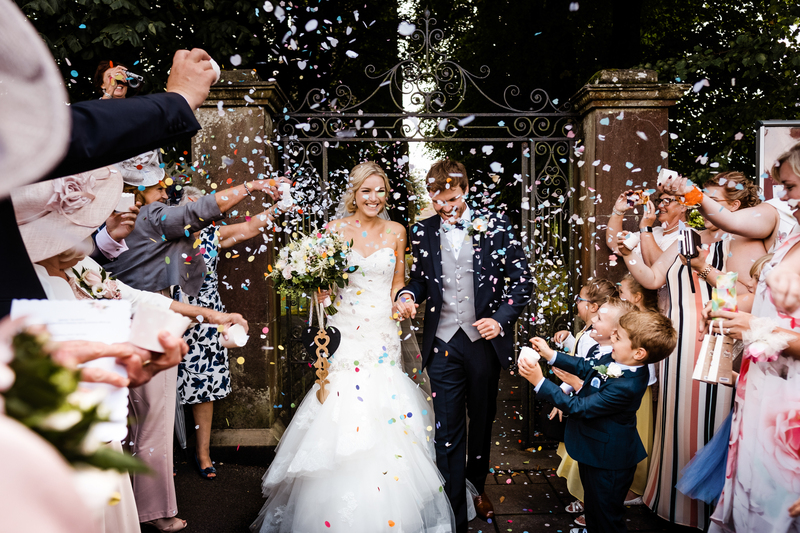 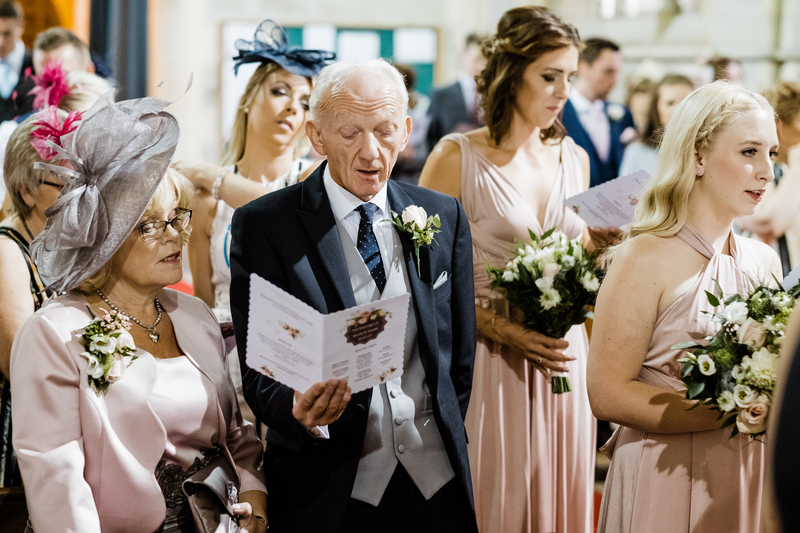 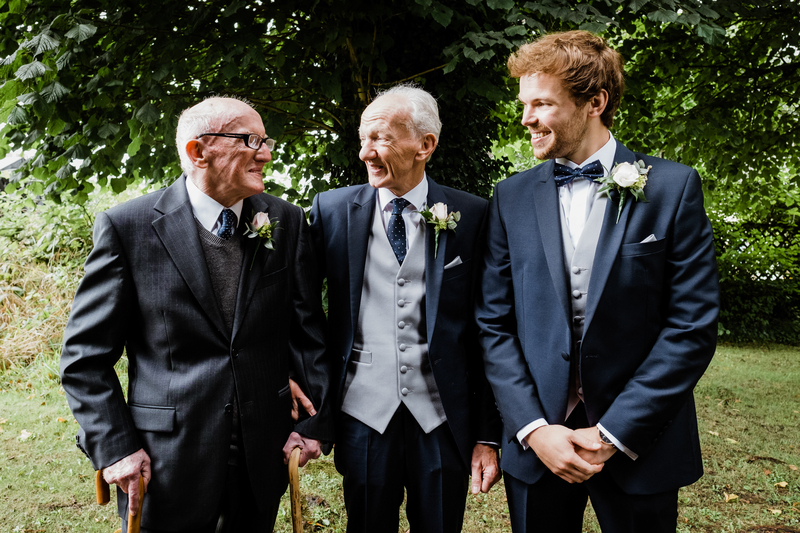 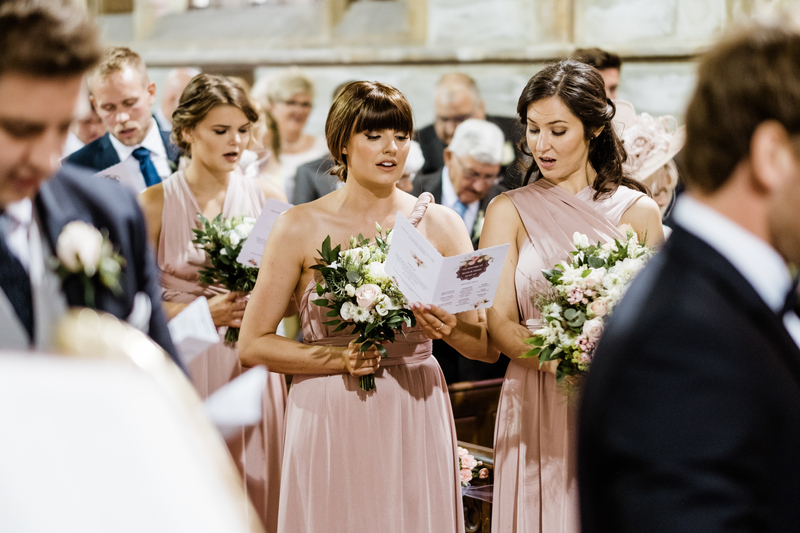 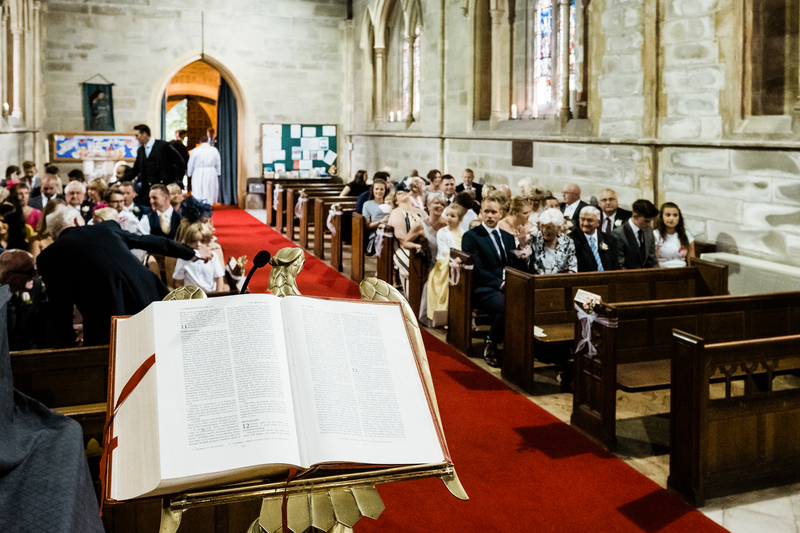 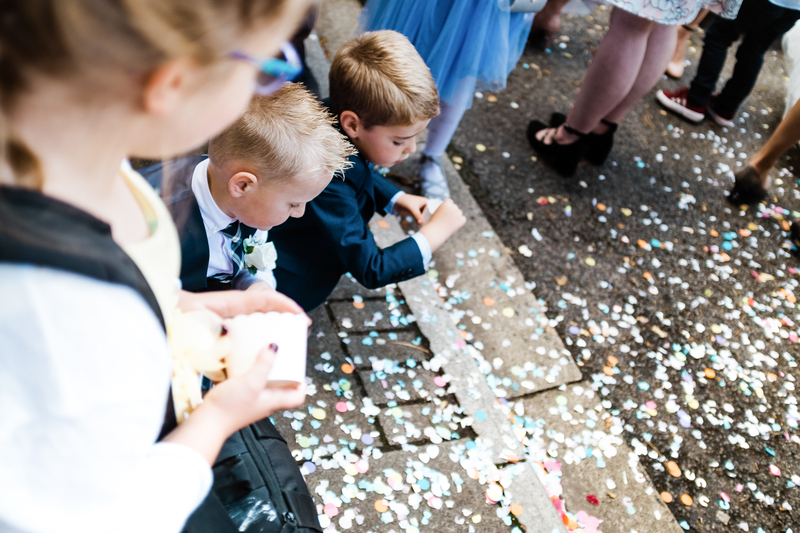 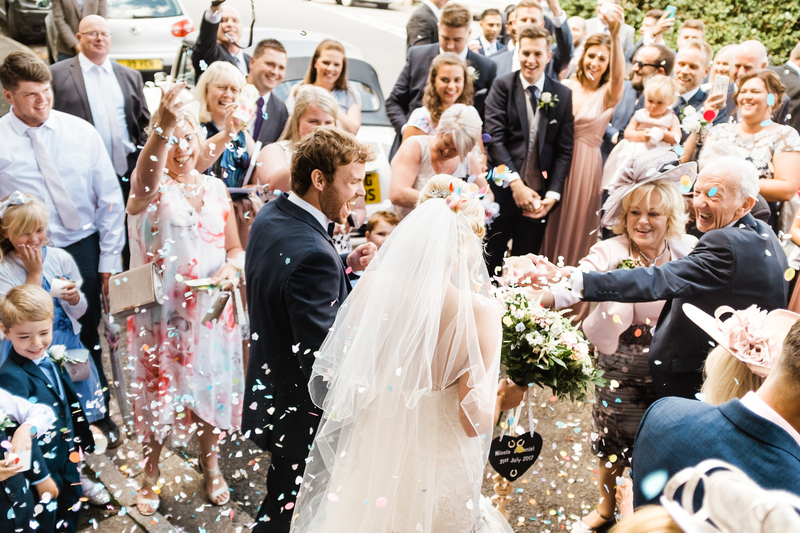 There was a fine marriage service followed by copious amounts of confetti. 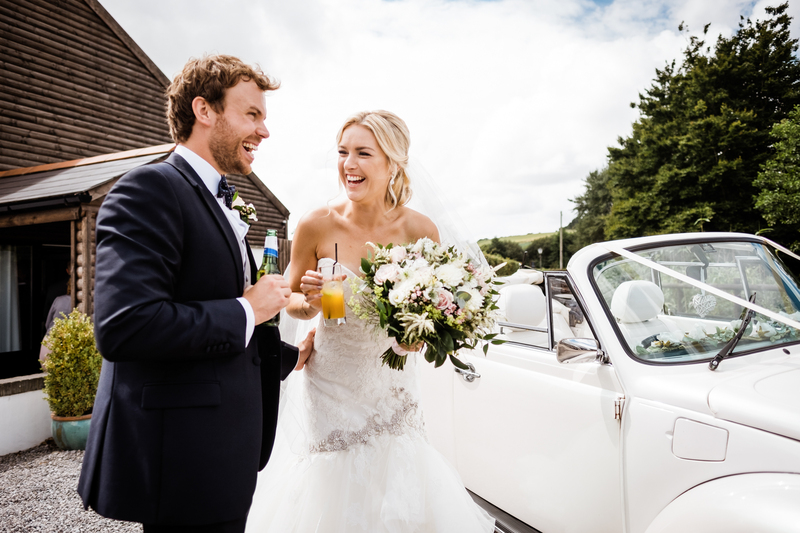 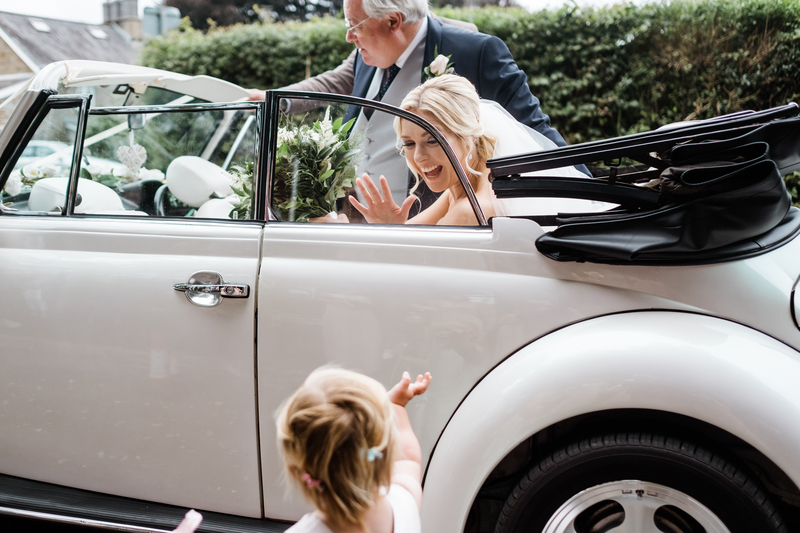 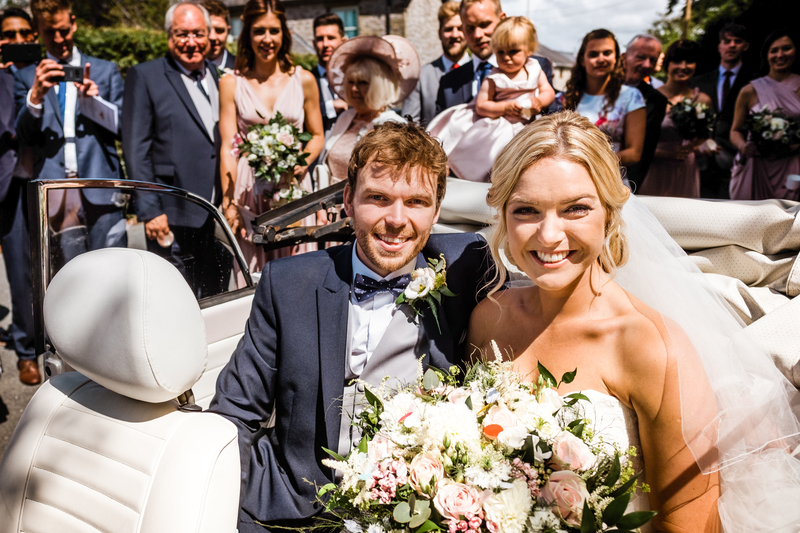 For their arrival at Llanerch Vineyard Nicola and Dan picked a stylish VW Beetle from LoveDub Weddings. 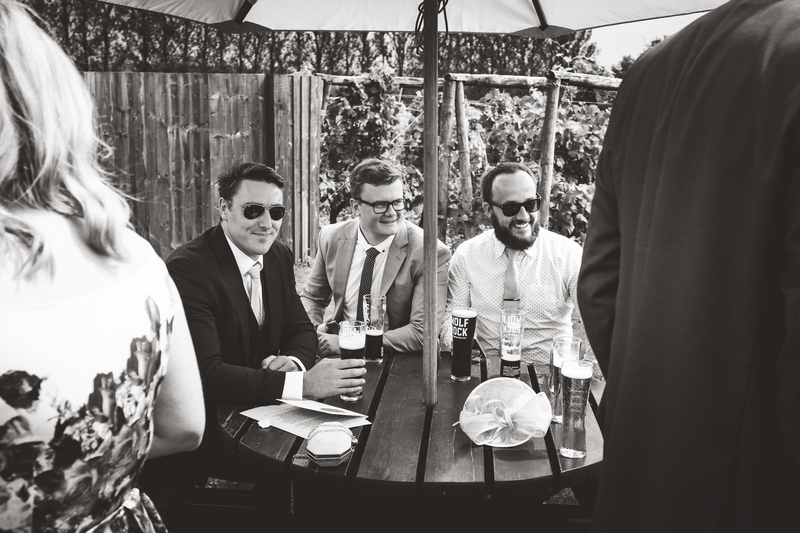 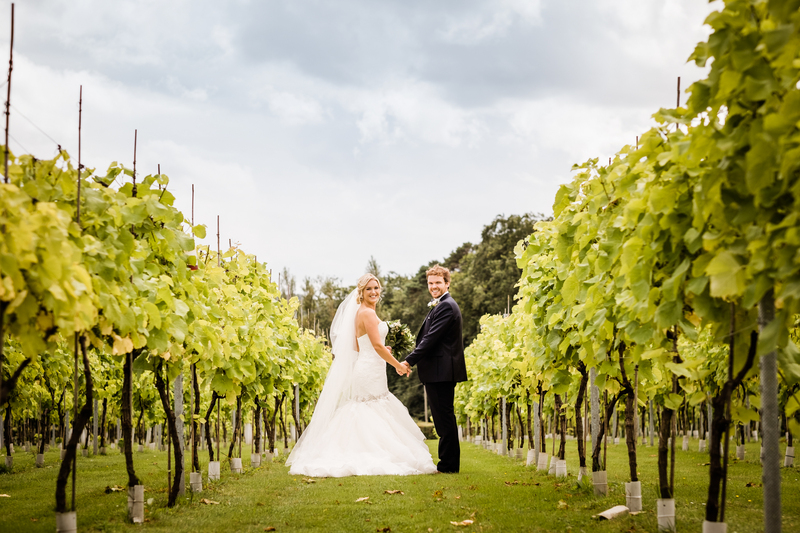 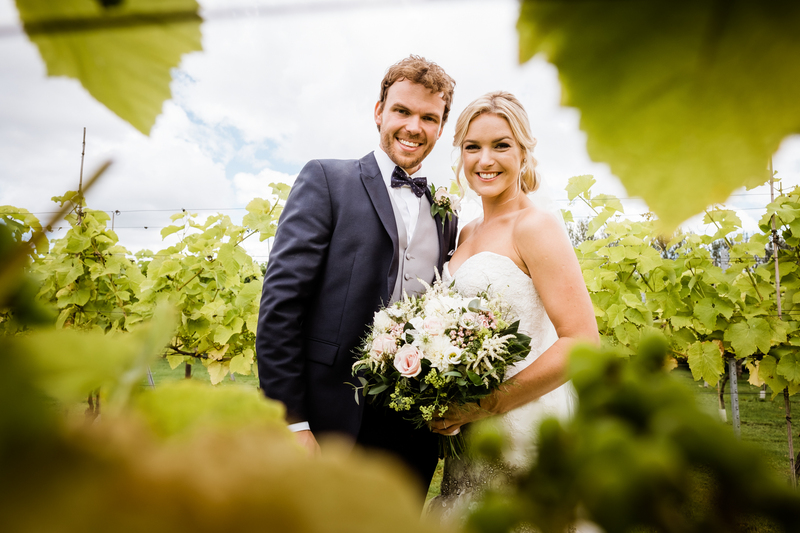 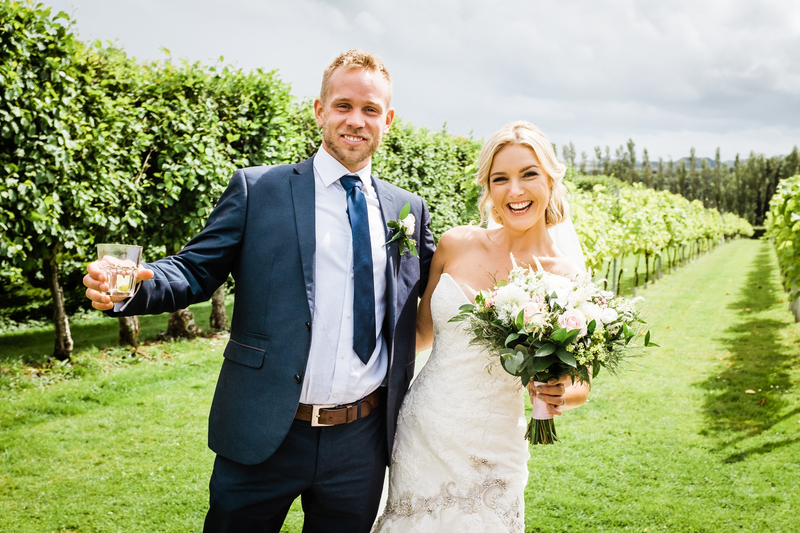 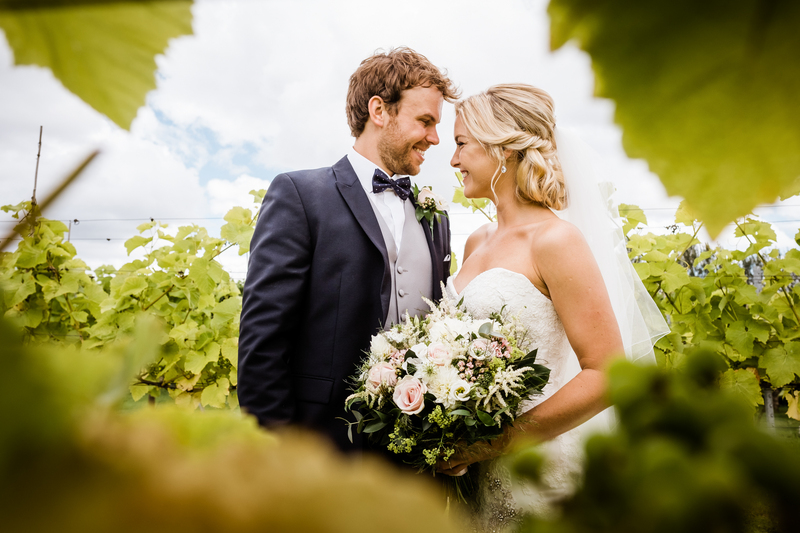 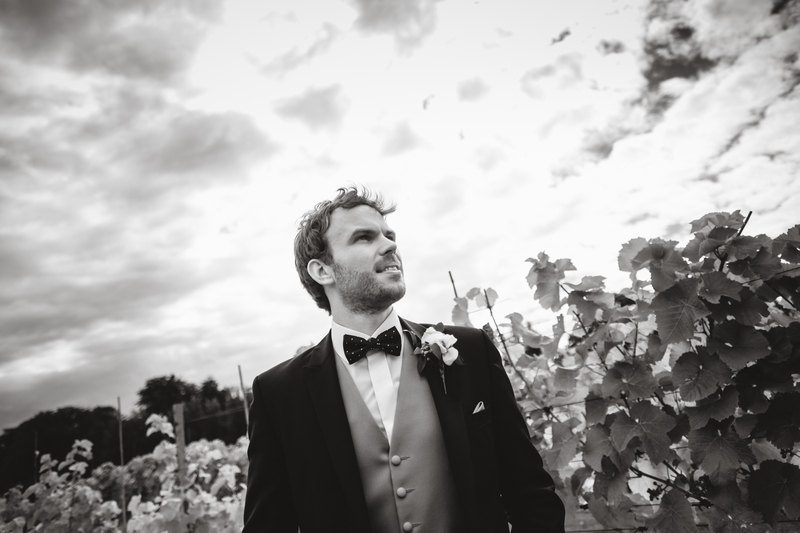 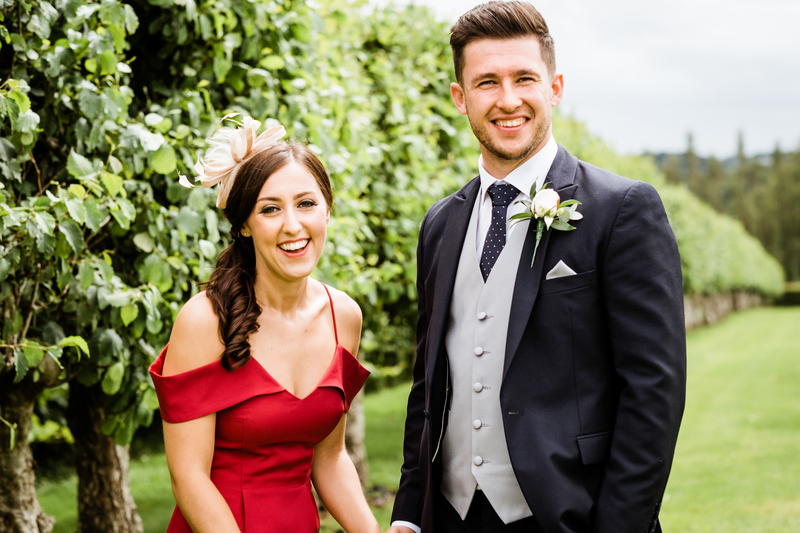 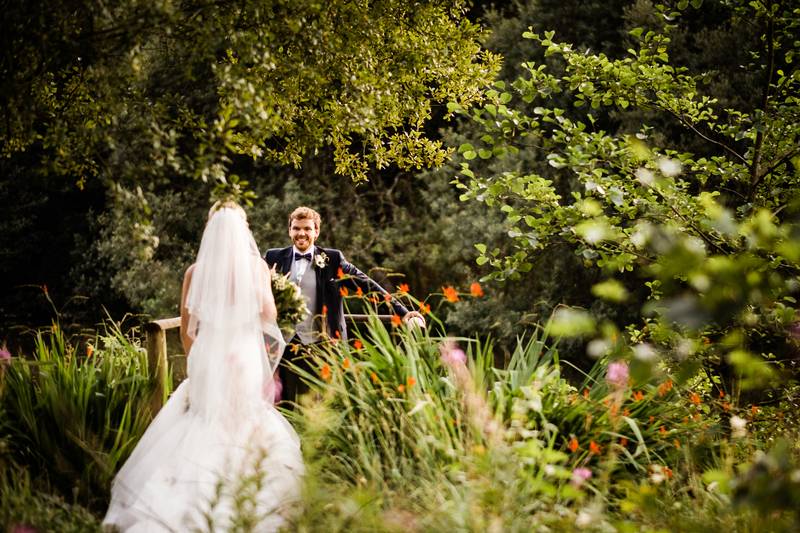 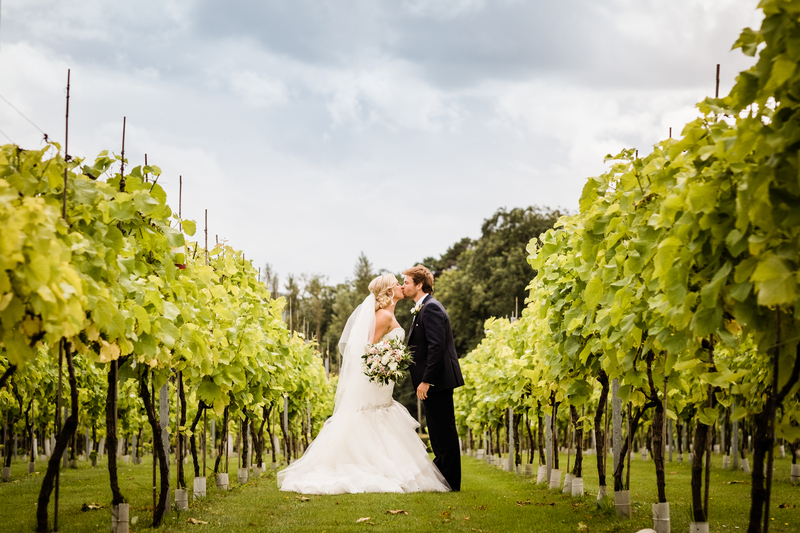 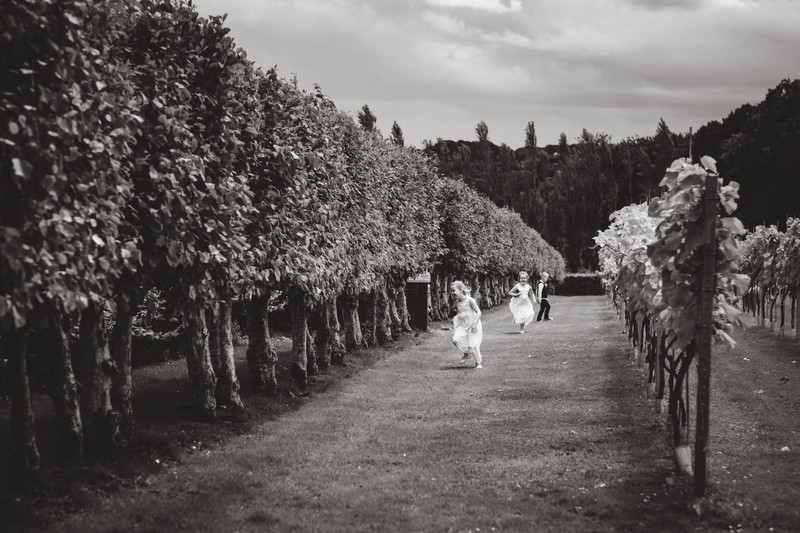 Nicola and Dan looked like film stars as they wandered around the vineyard in the glorious sunshine. 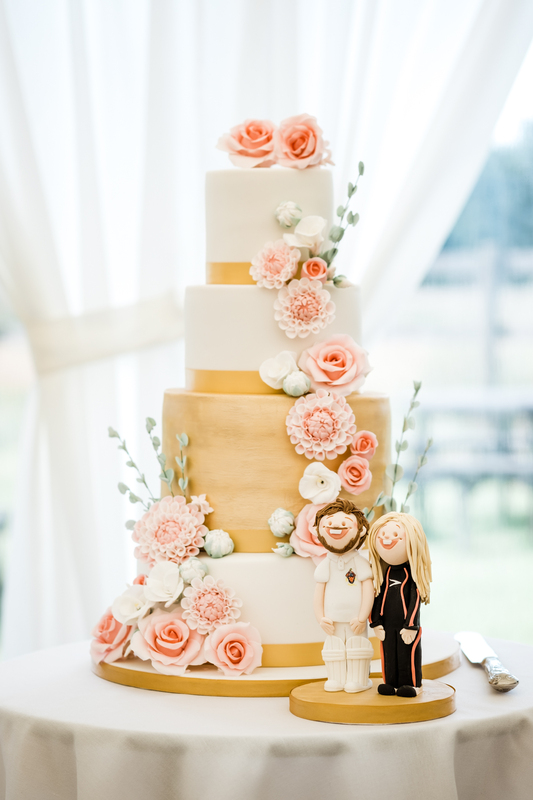 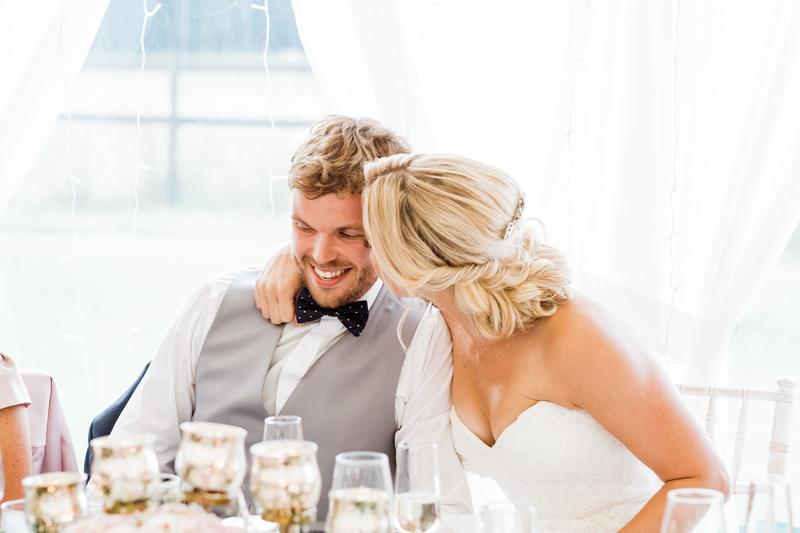 Every image captures the joy and connection that this lovely couple share. 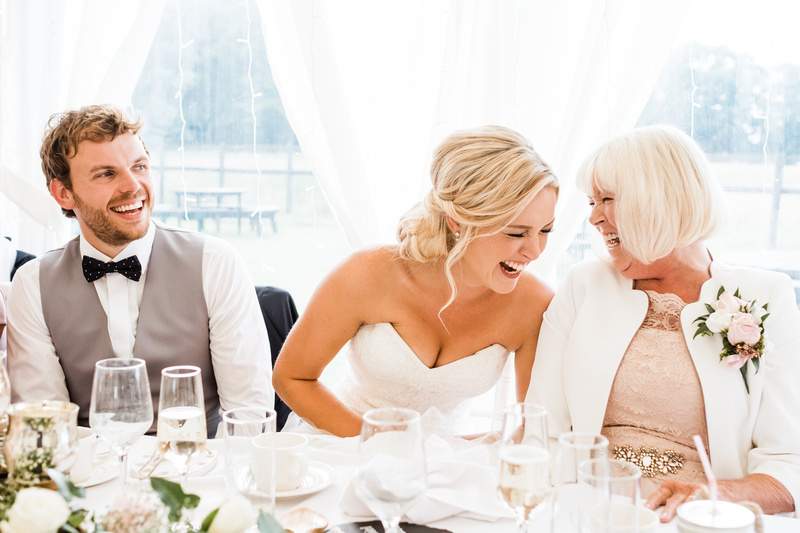 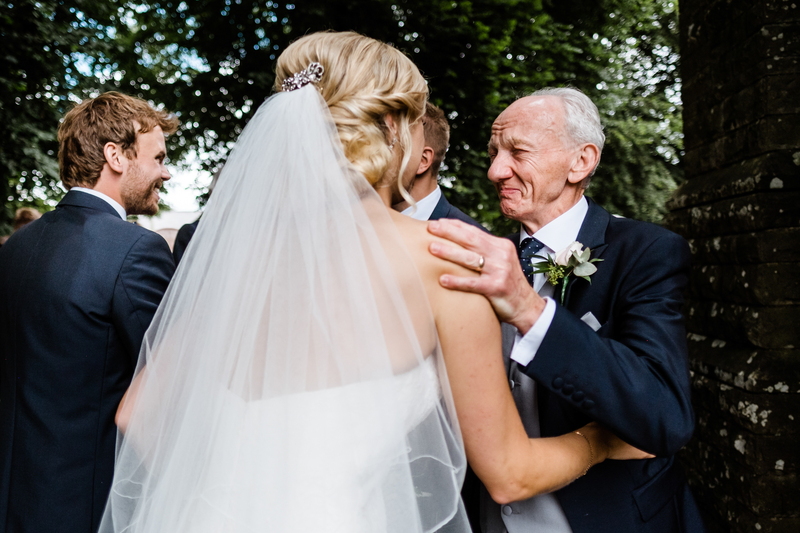 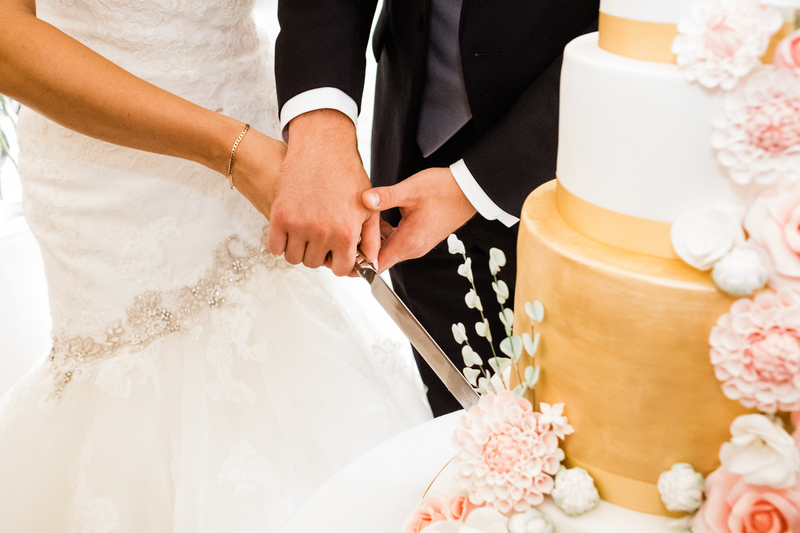 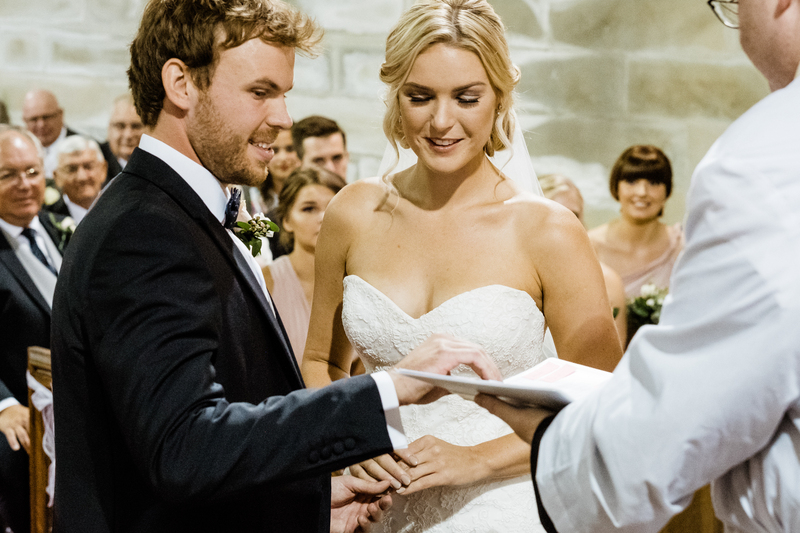 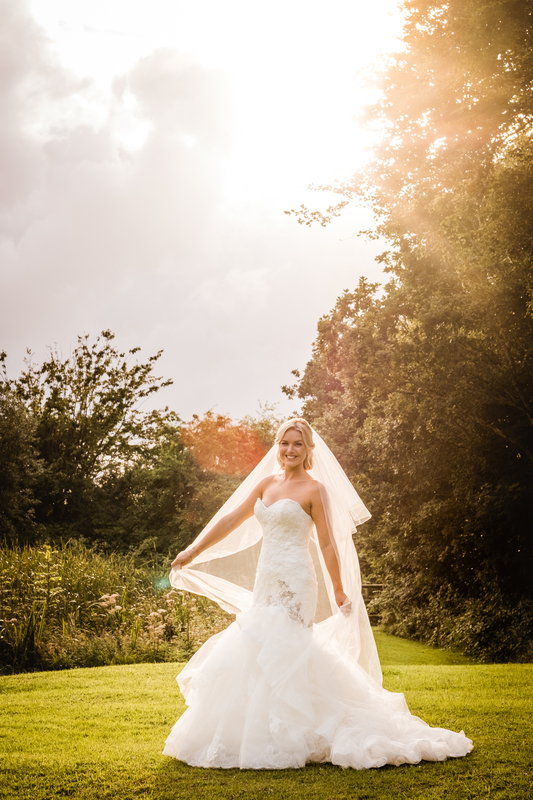 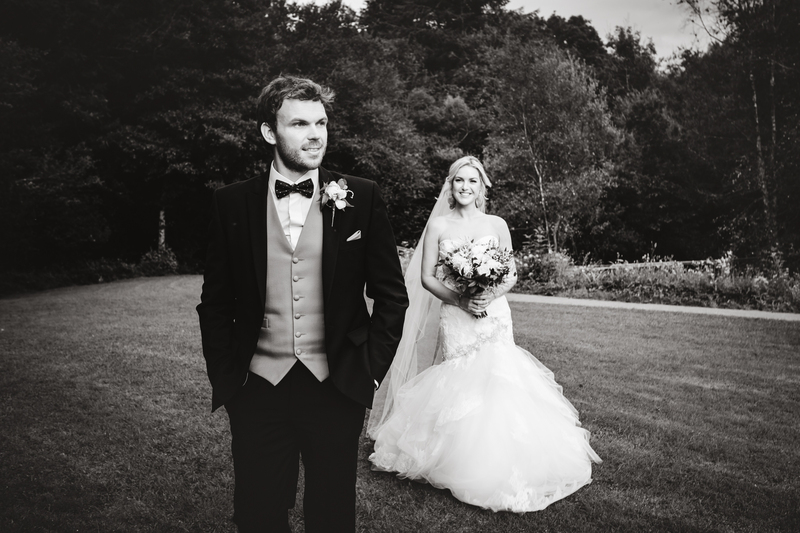 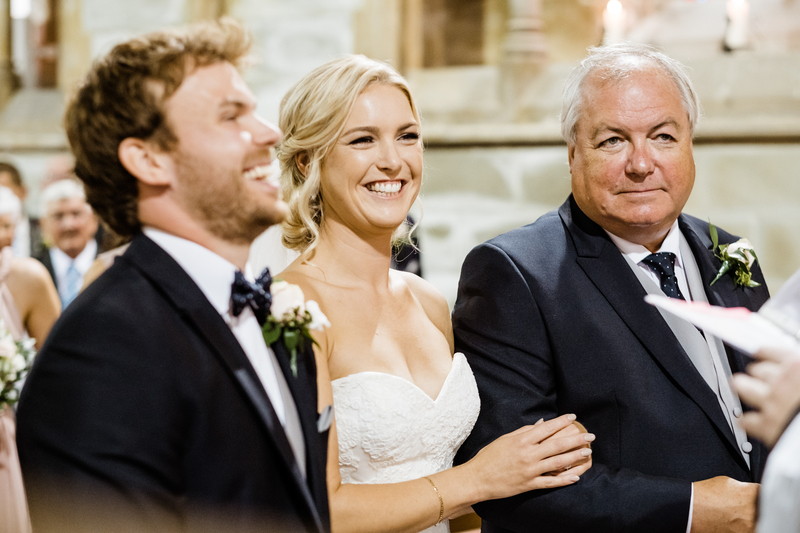 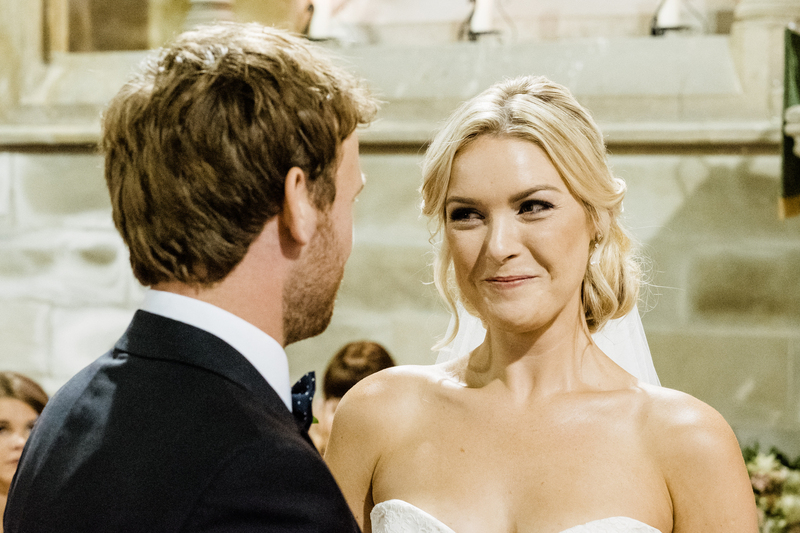 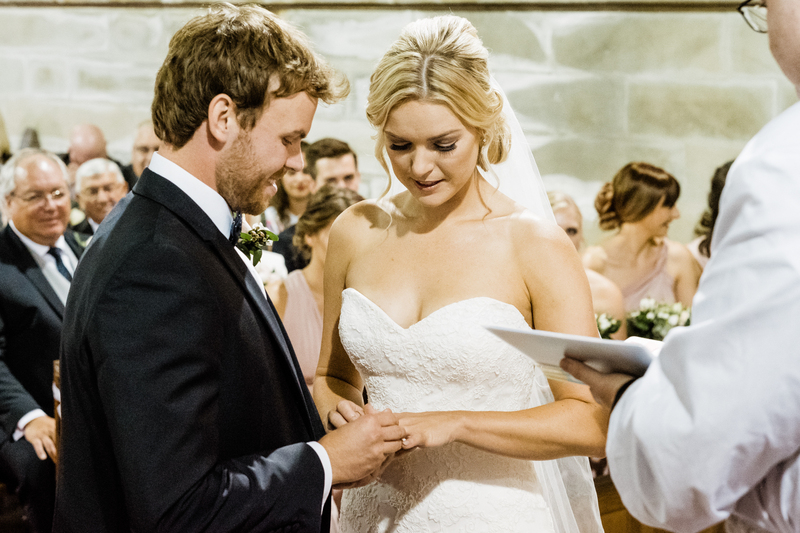 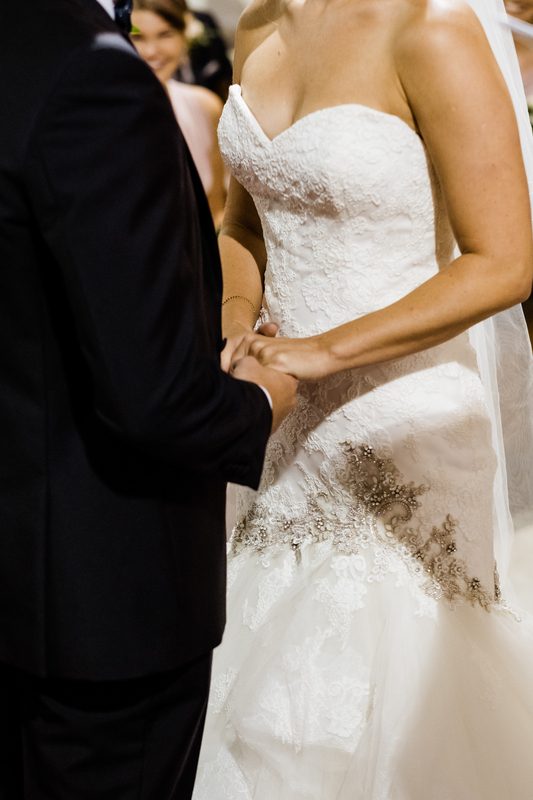 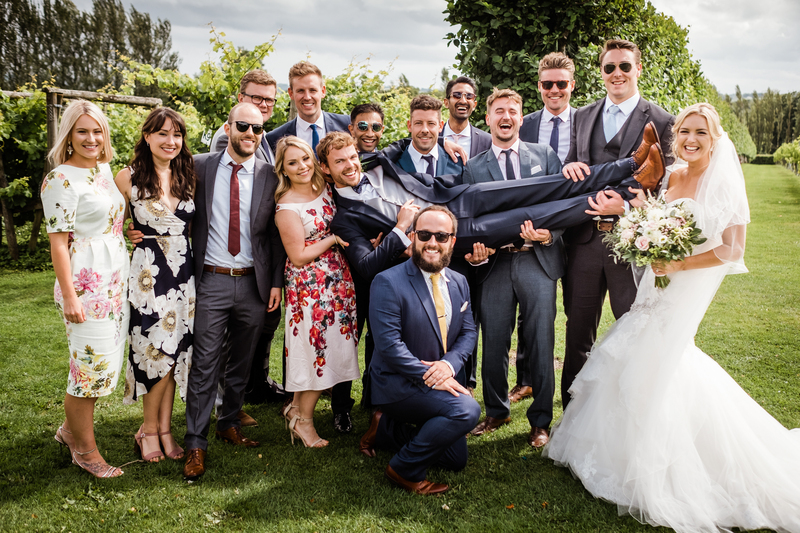 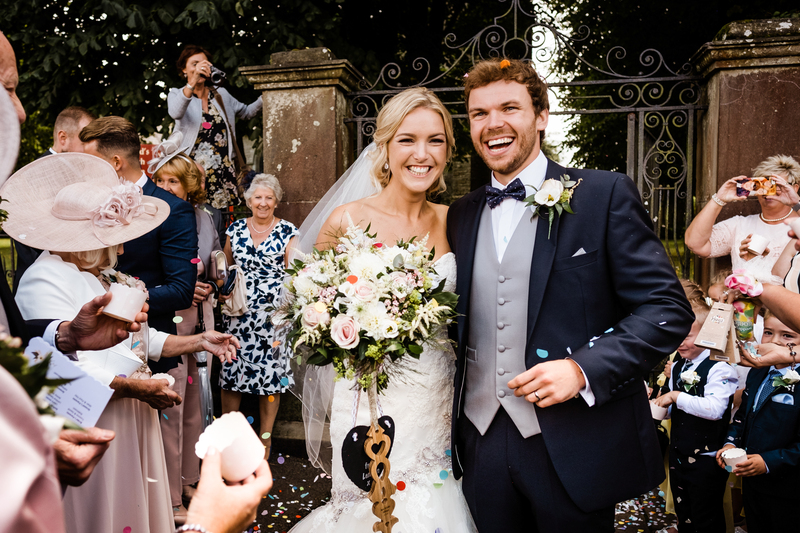 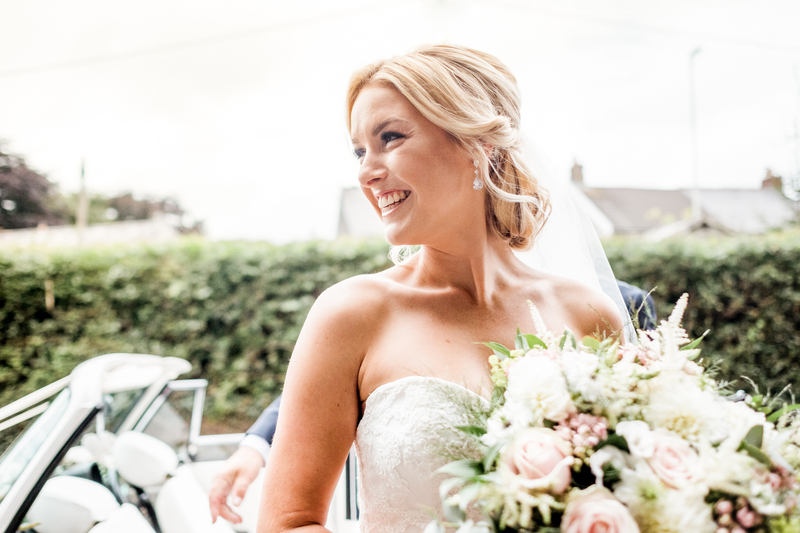 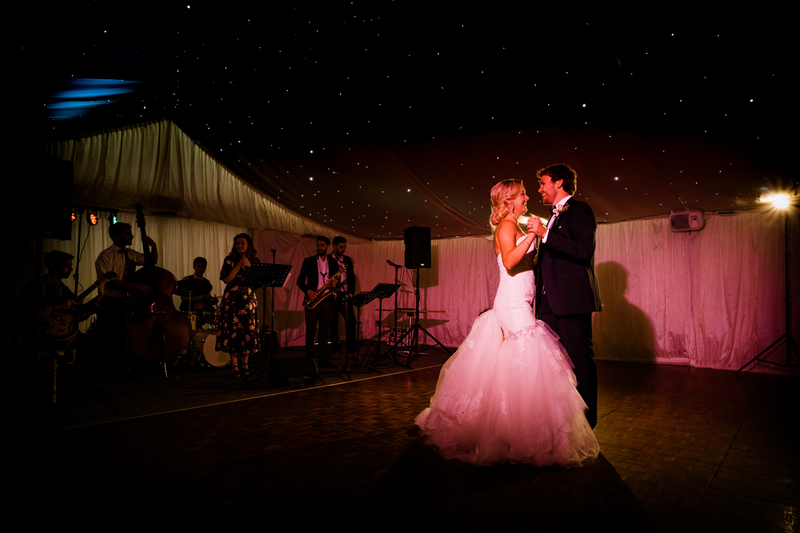 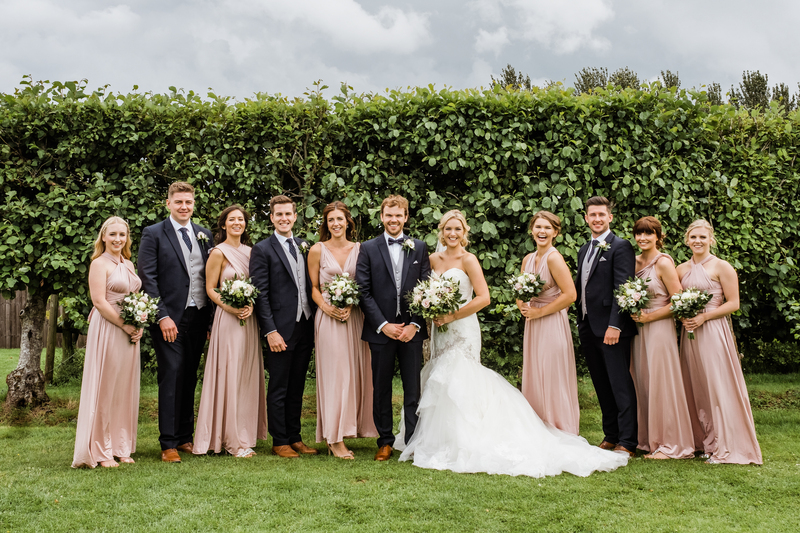 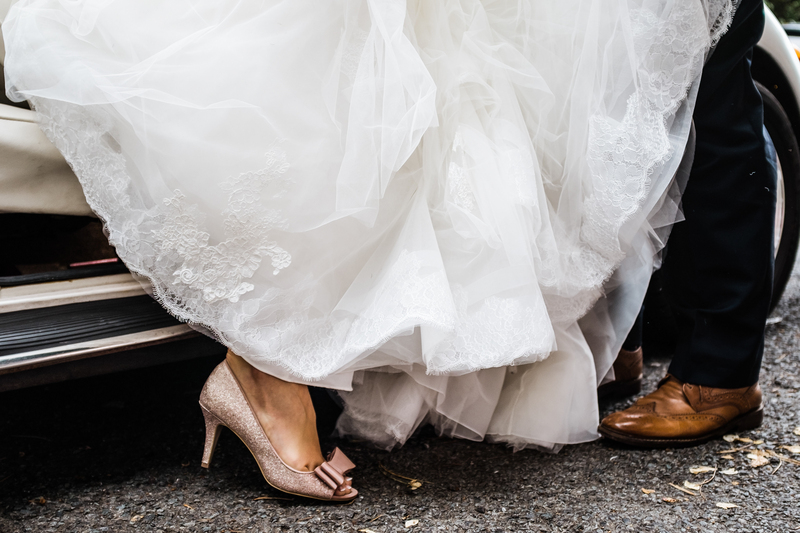 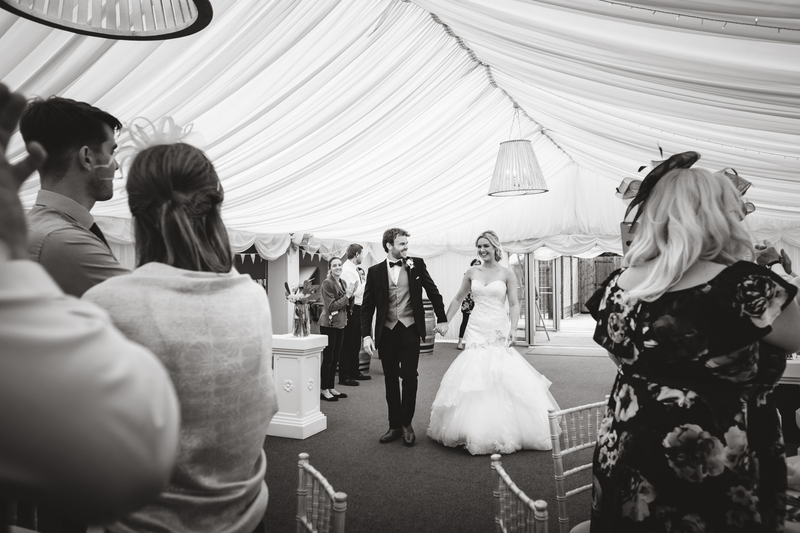 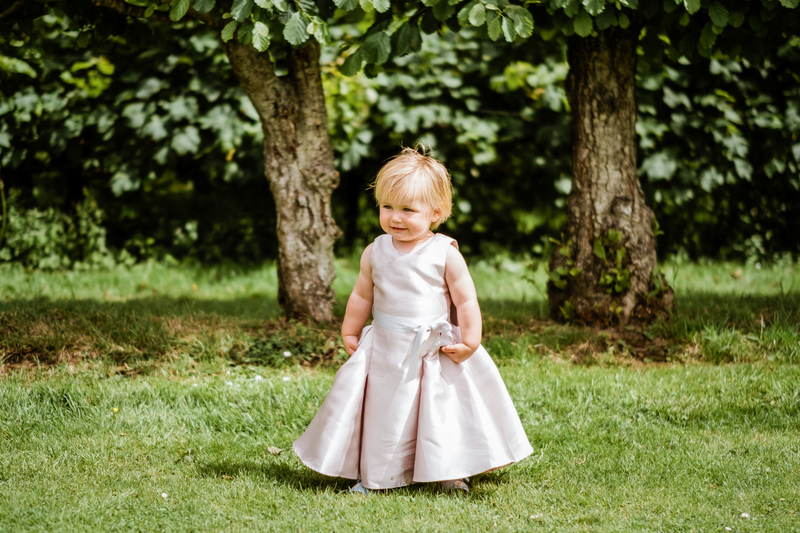 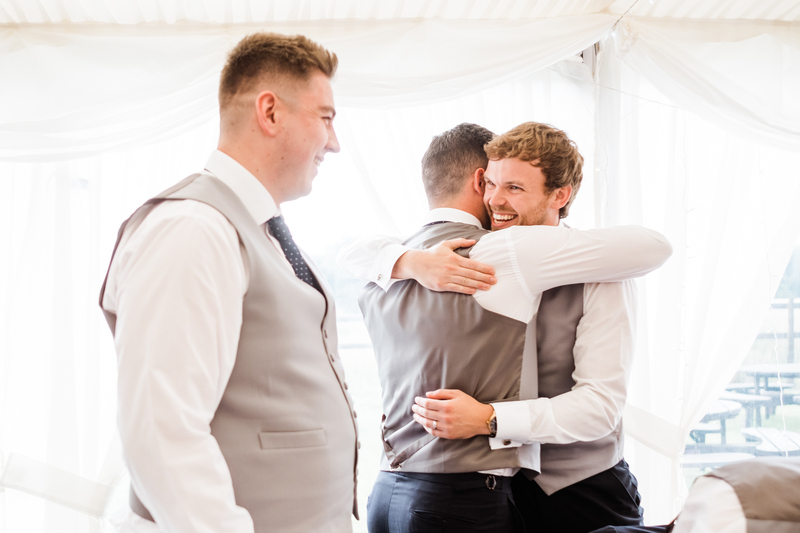 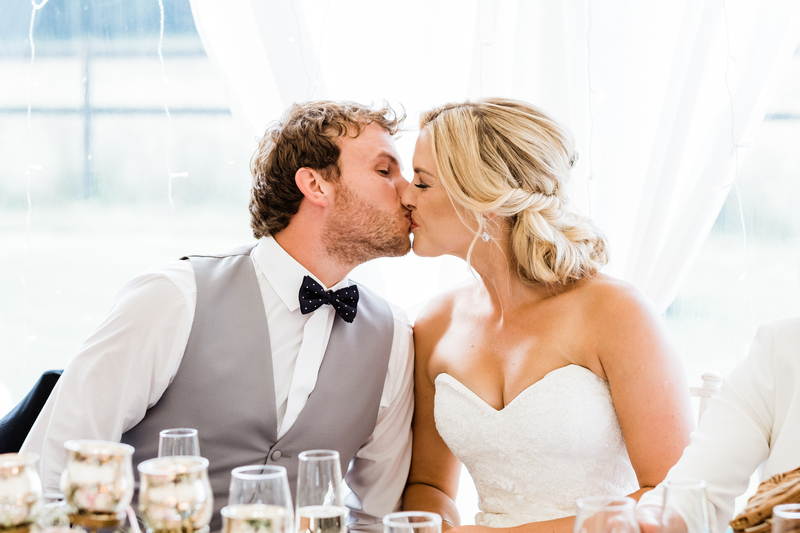 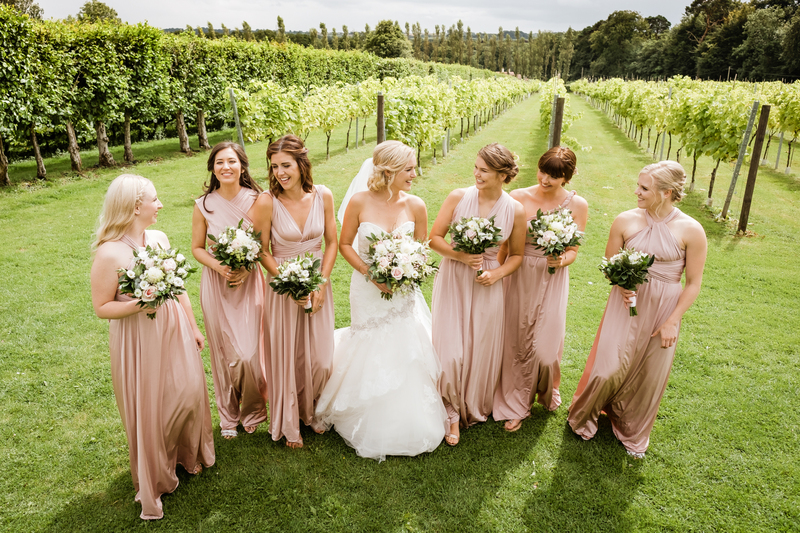 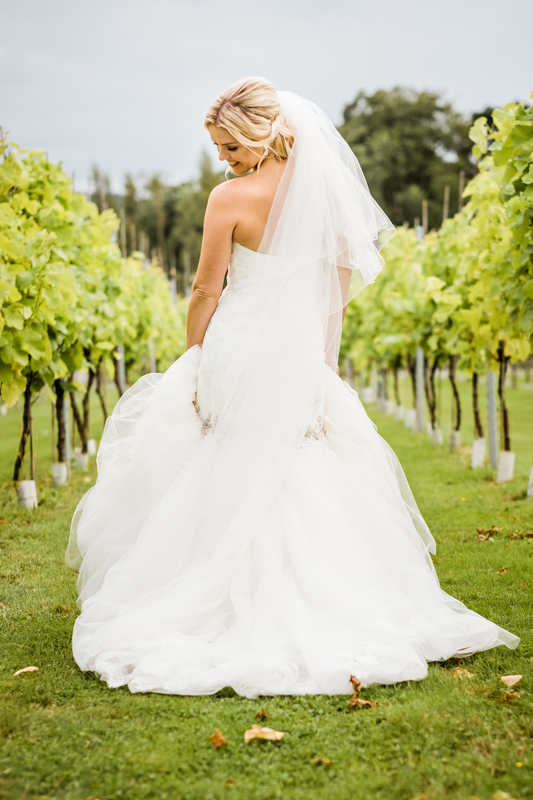 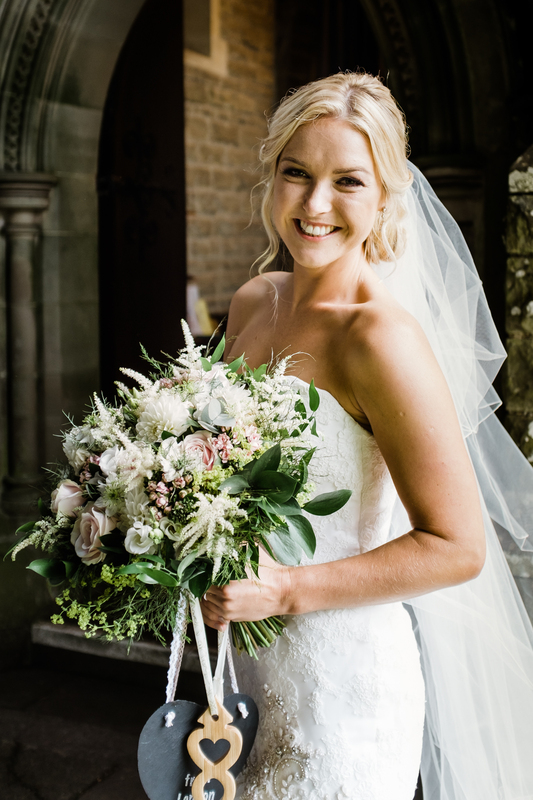 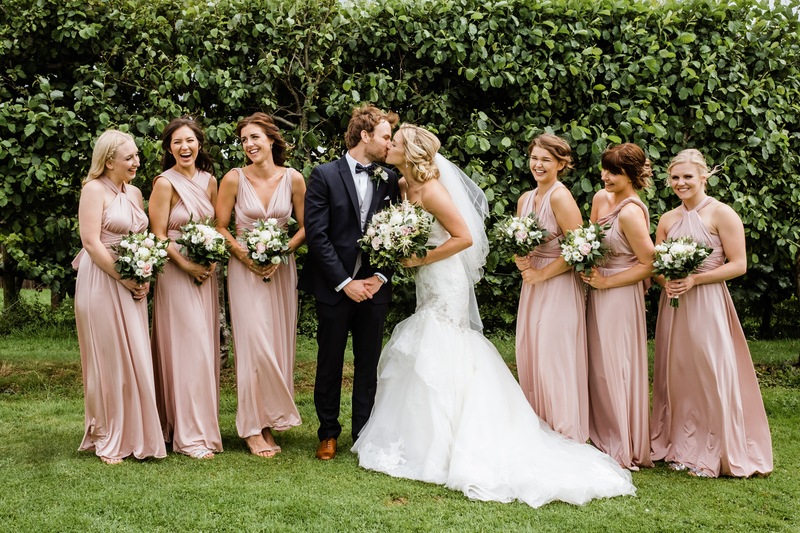 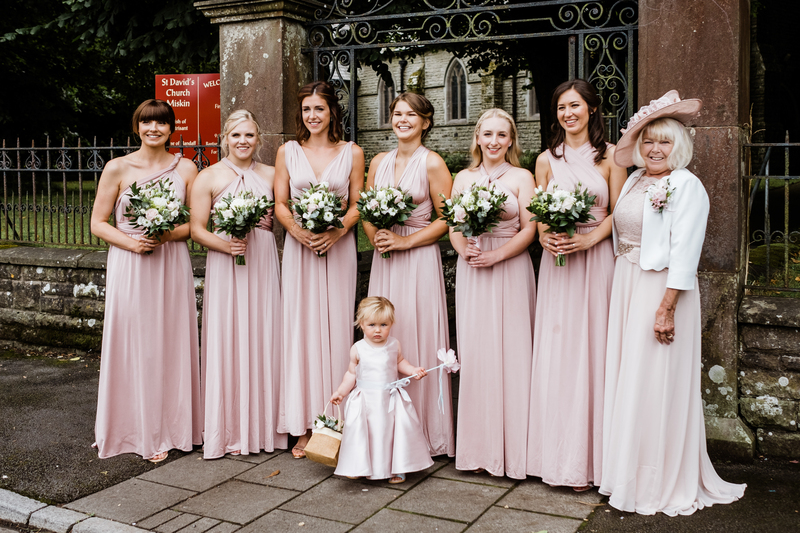 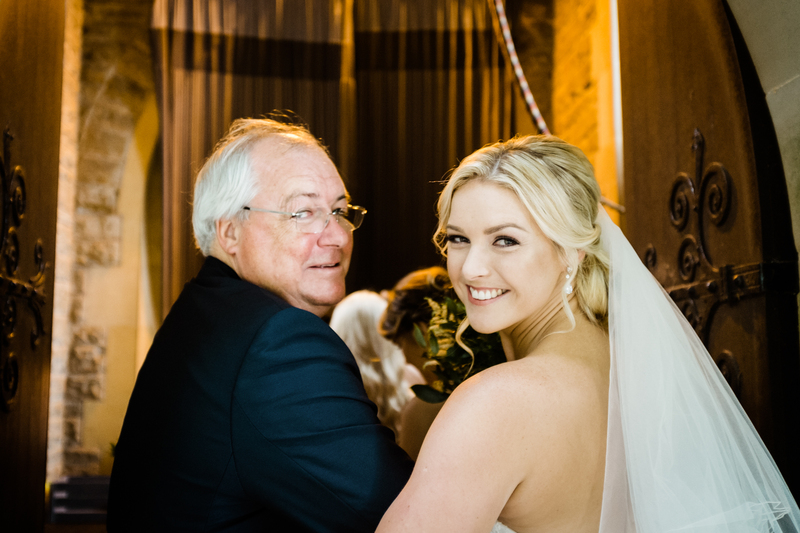 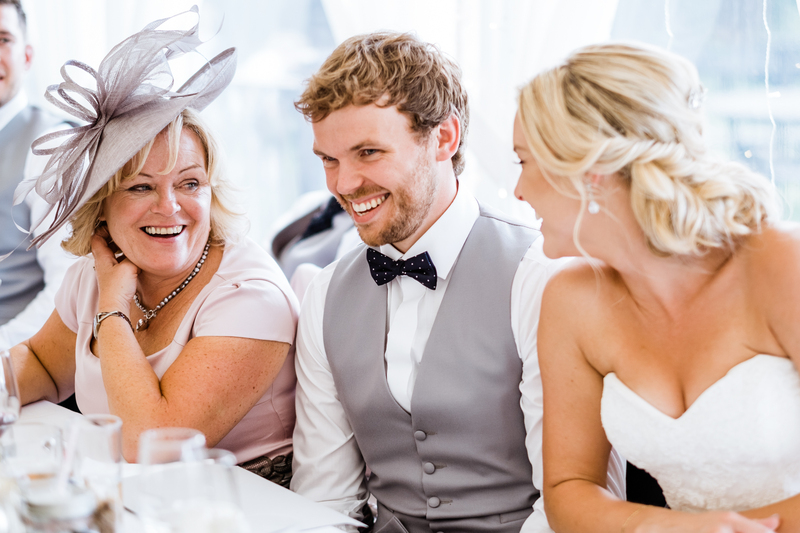 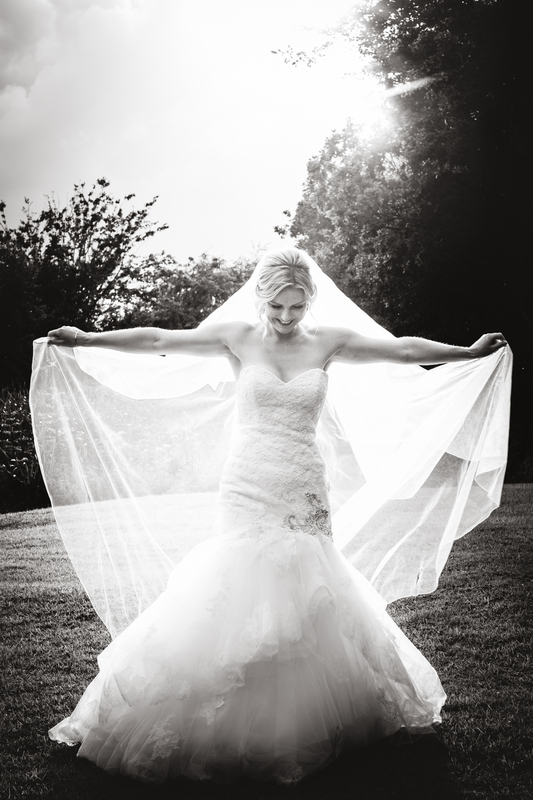 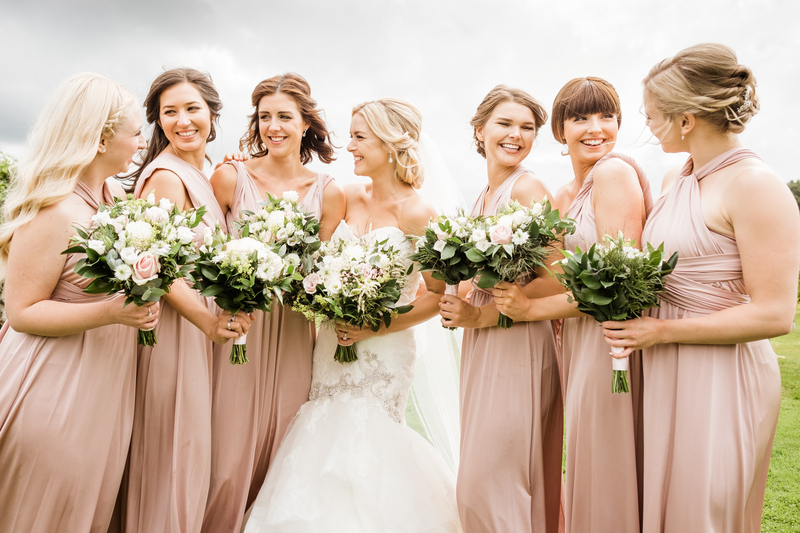 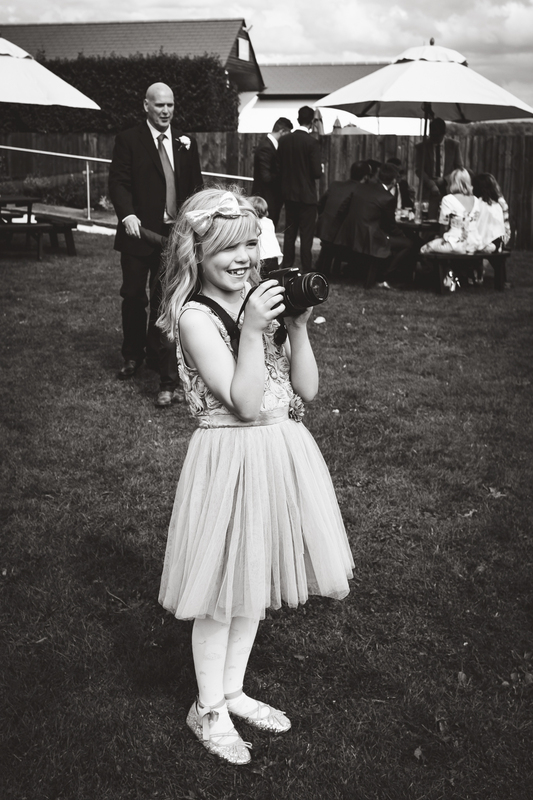 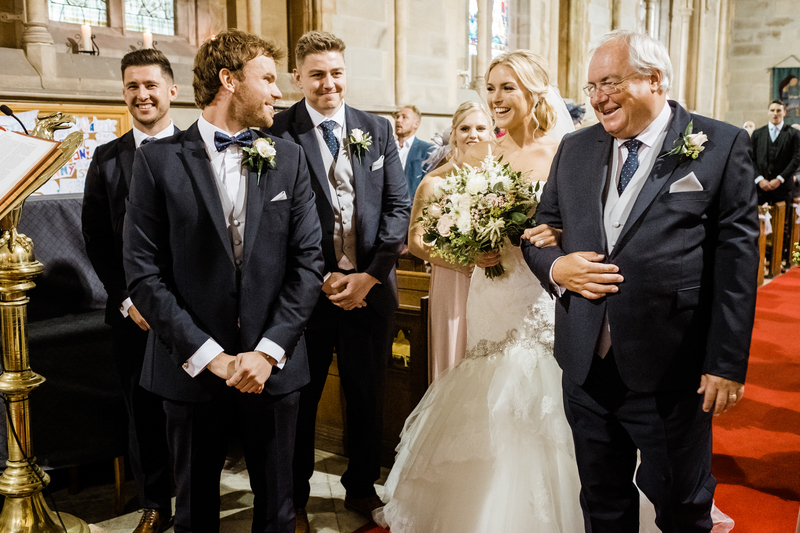 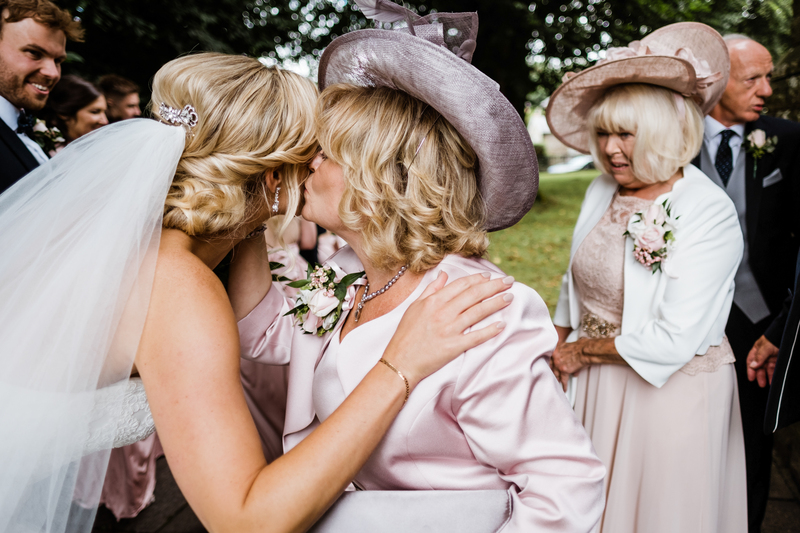 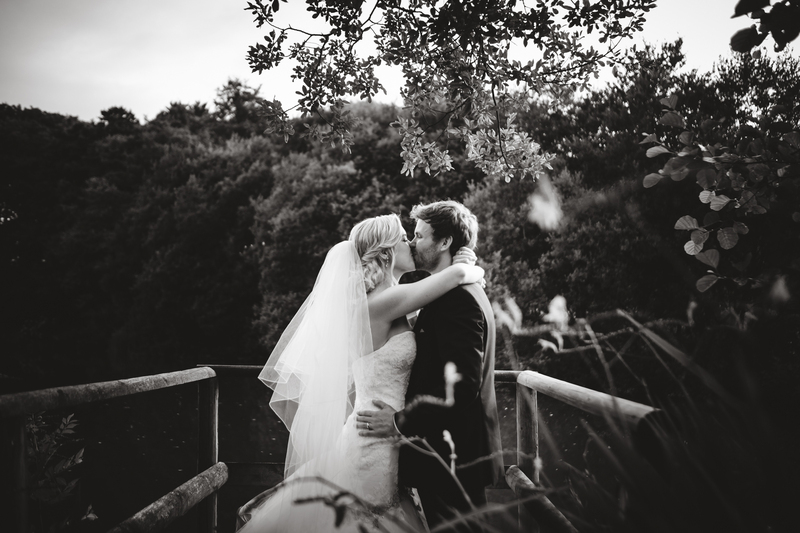 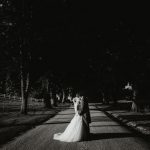 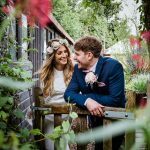 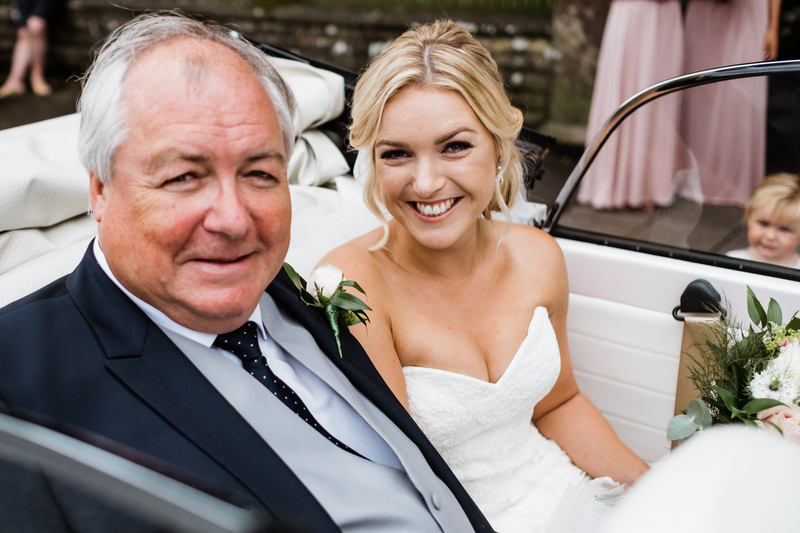 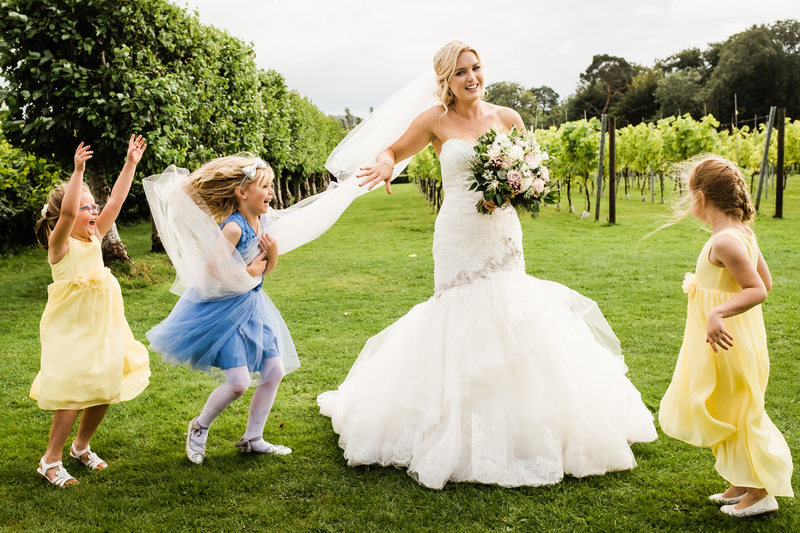 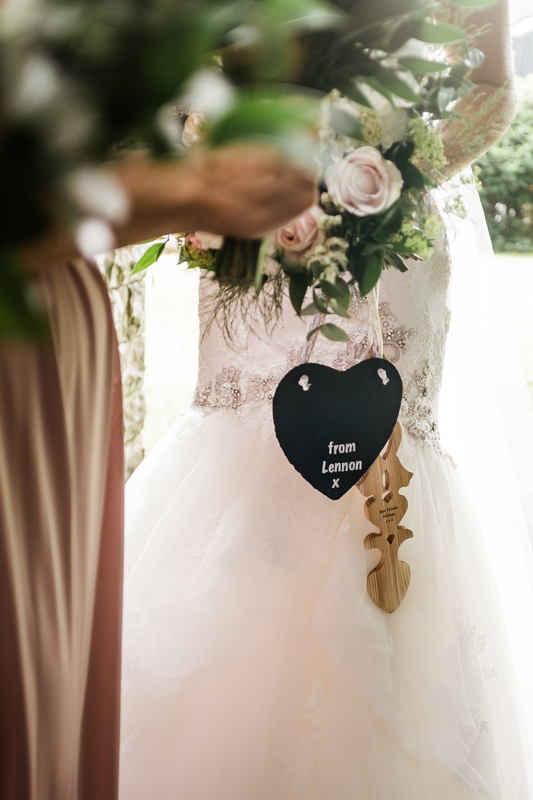 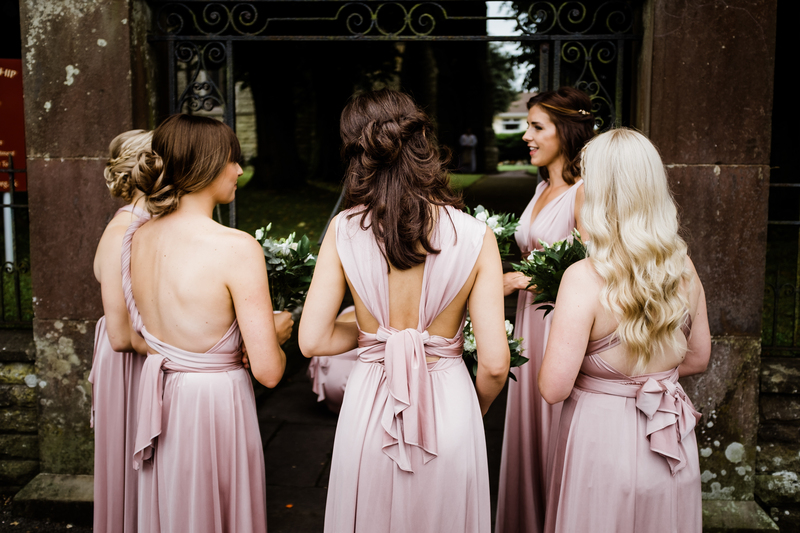 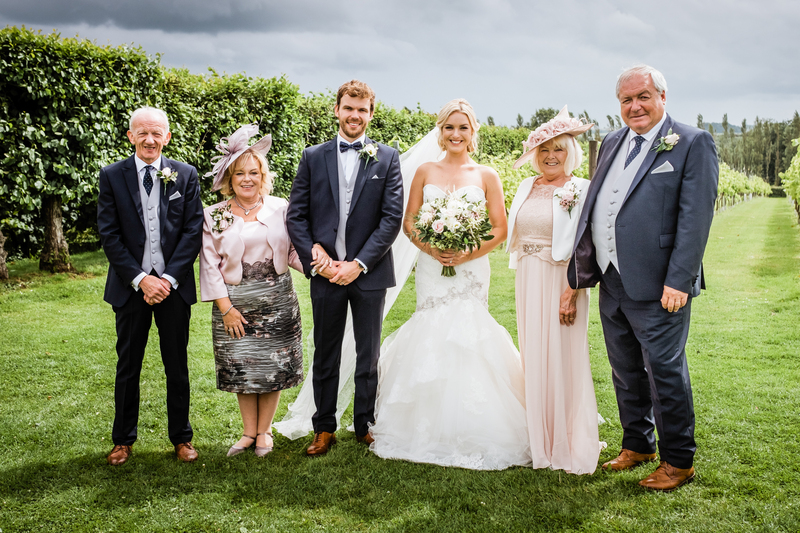 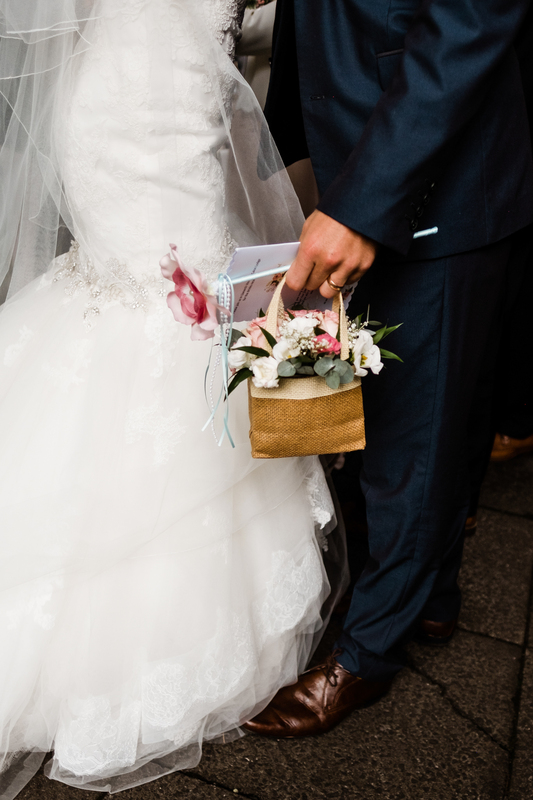 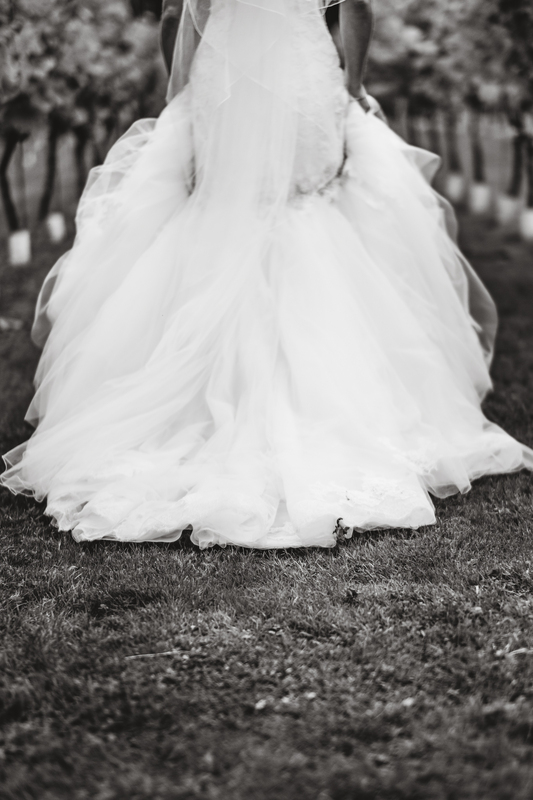 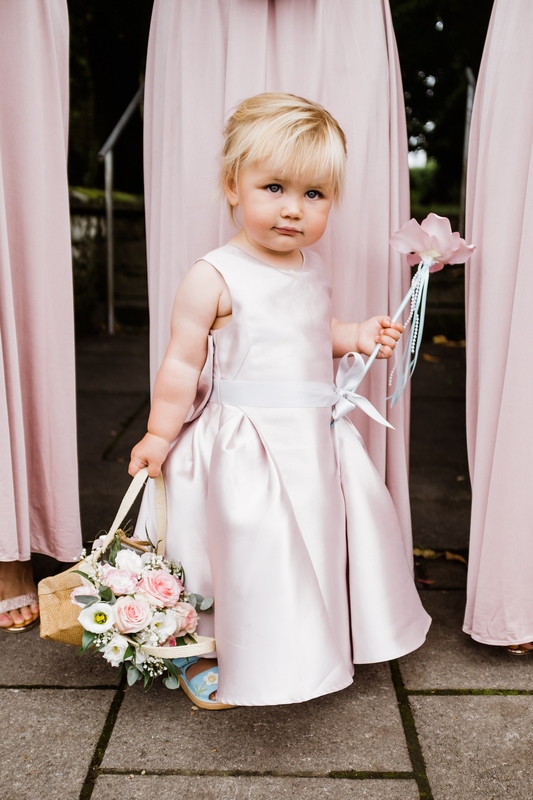 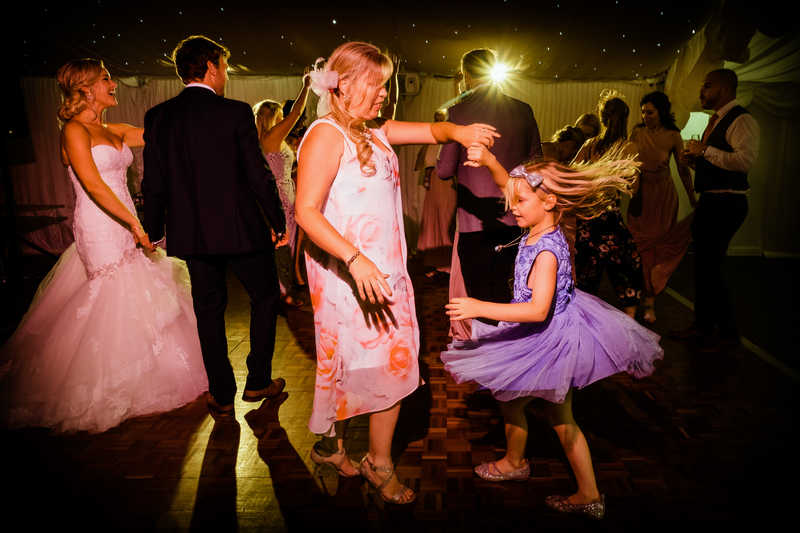 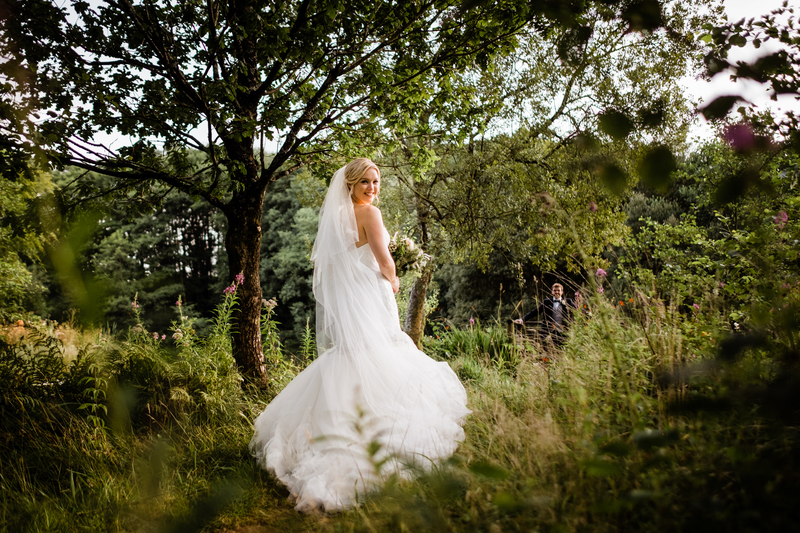 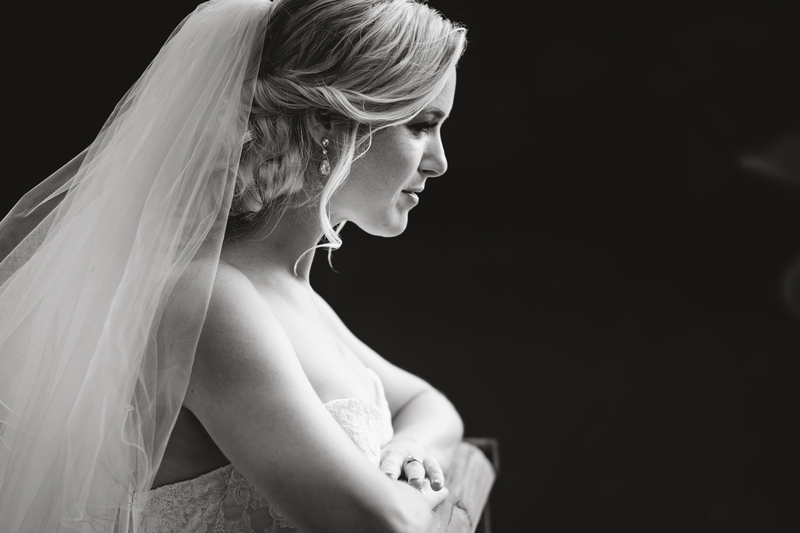 Nicola’s wedding dress from Laura May Bridal suited her perfectly. 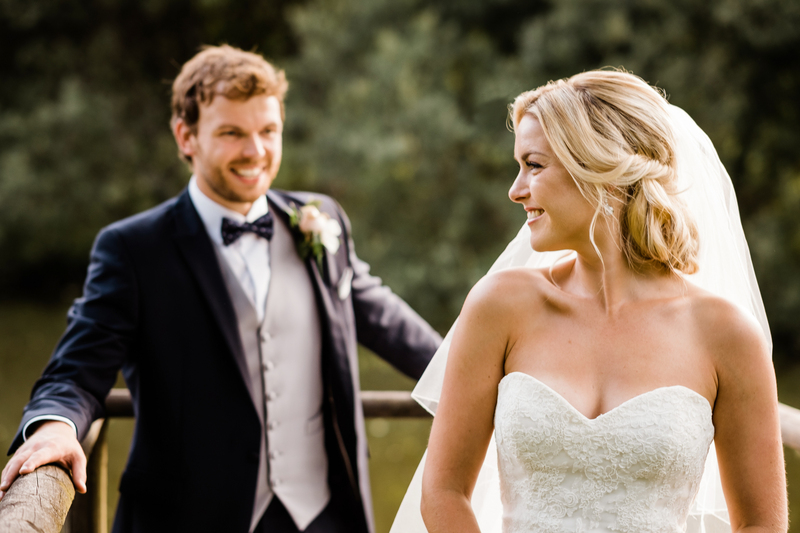 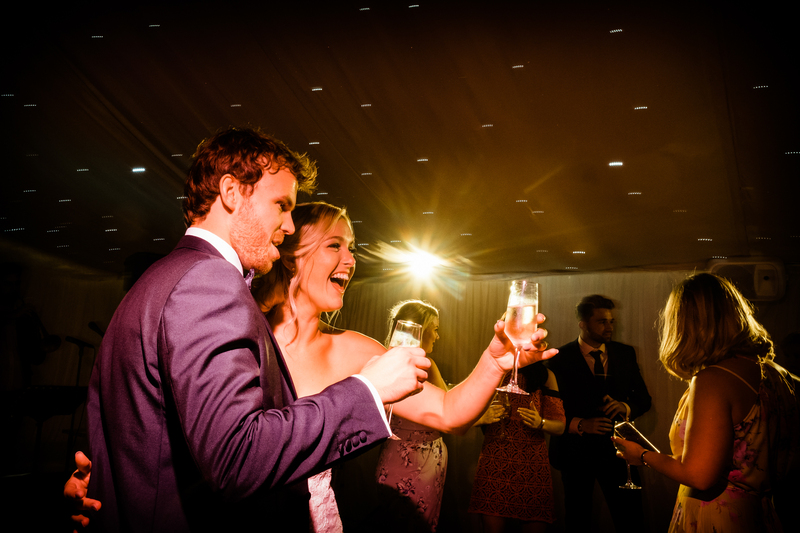 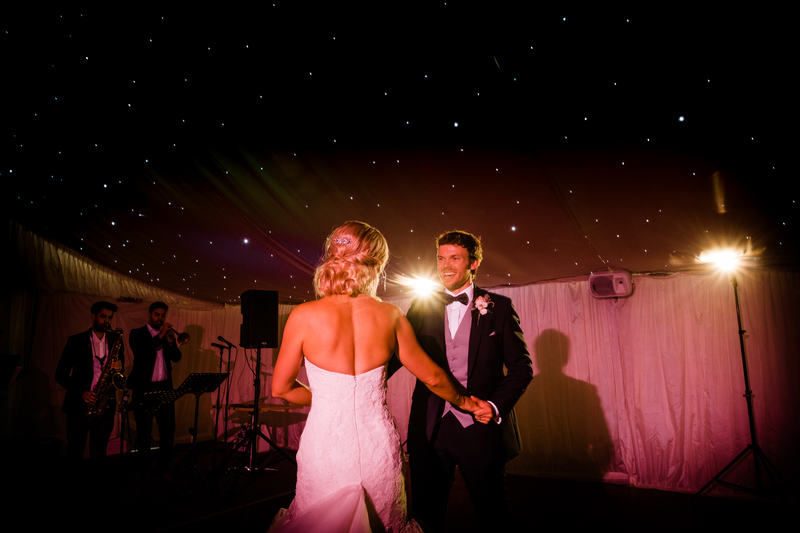 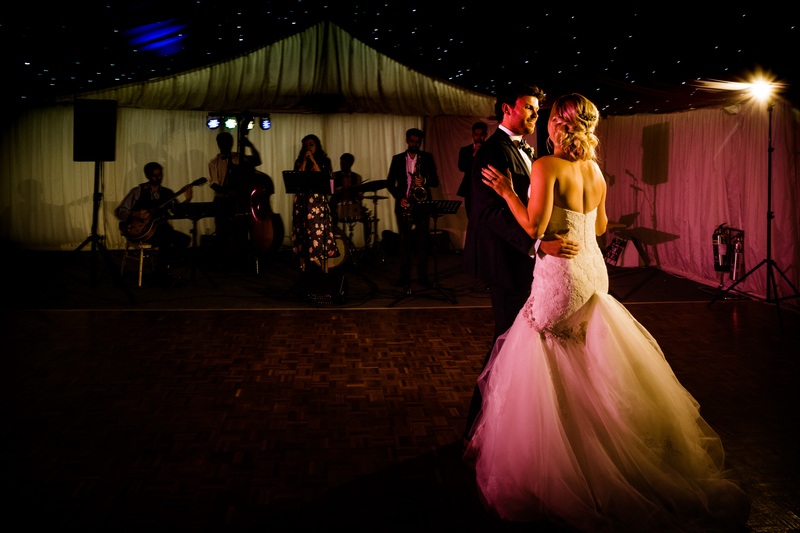 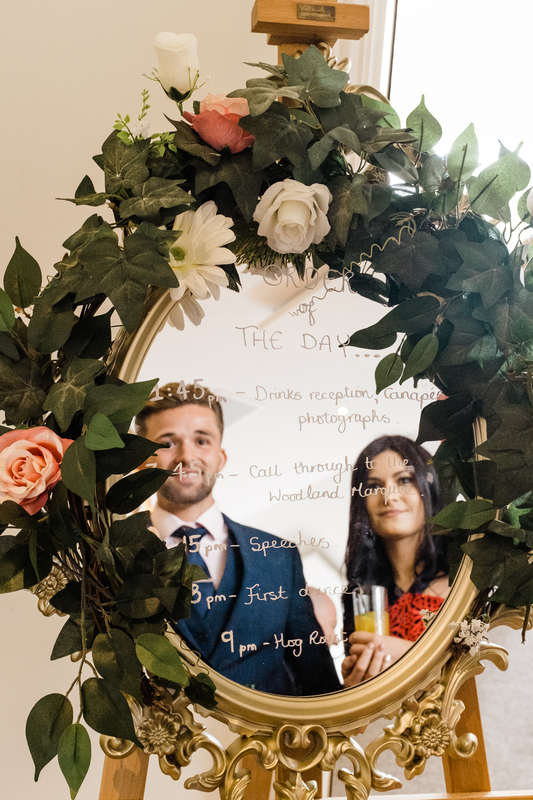 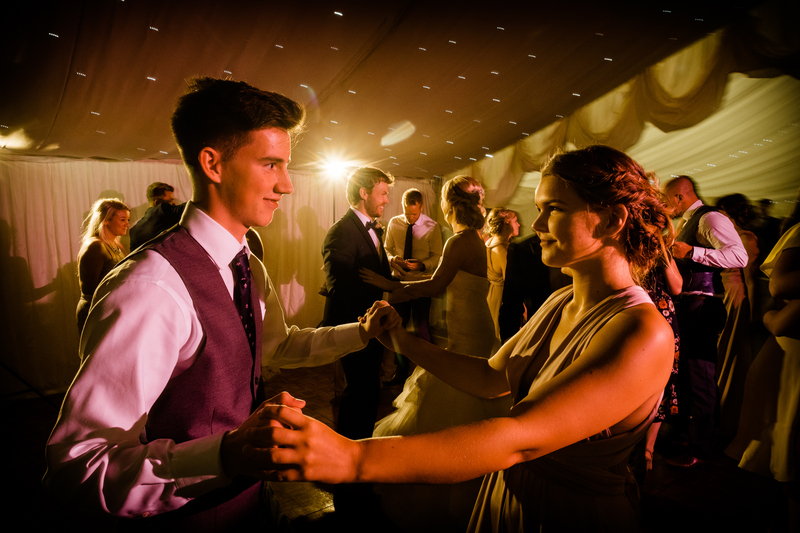 Both Nicola and Dan look stunning and are totally fun, natural and relaxed in front of the camera. 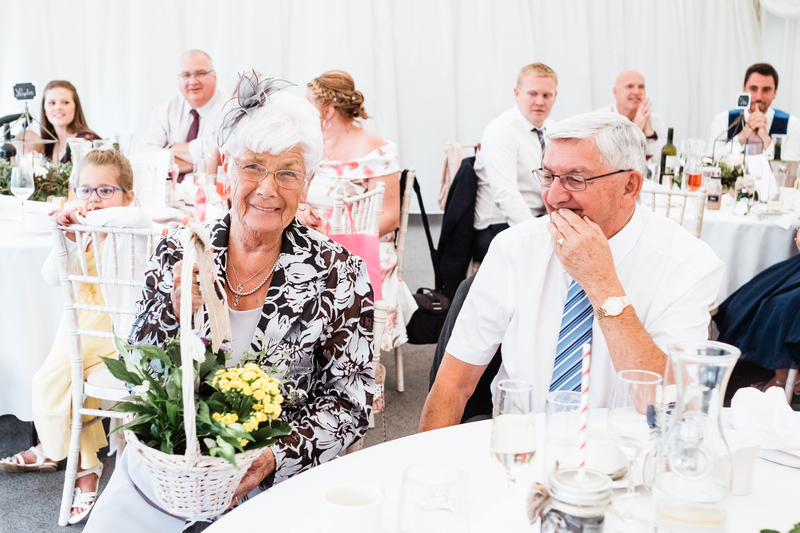 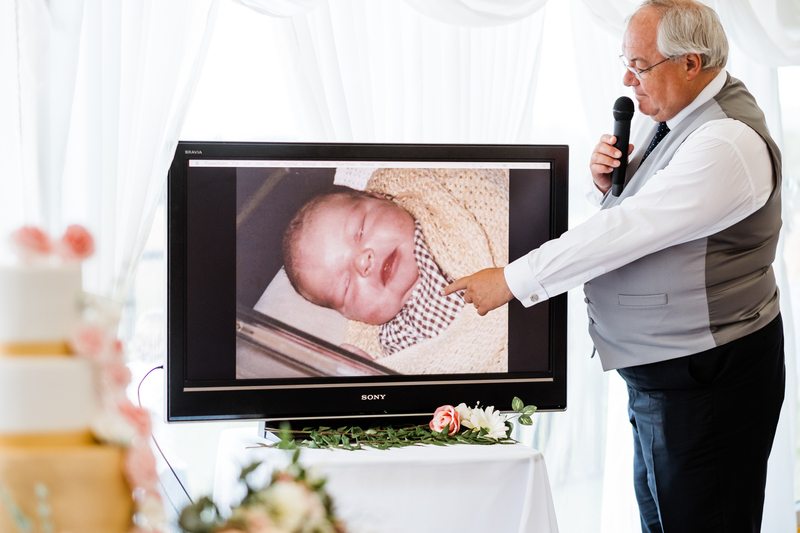 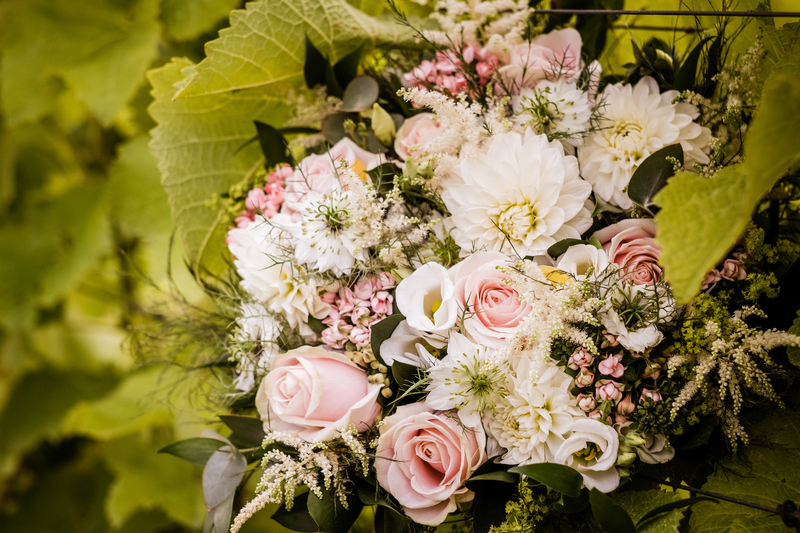 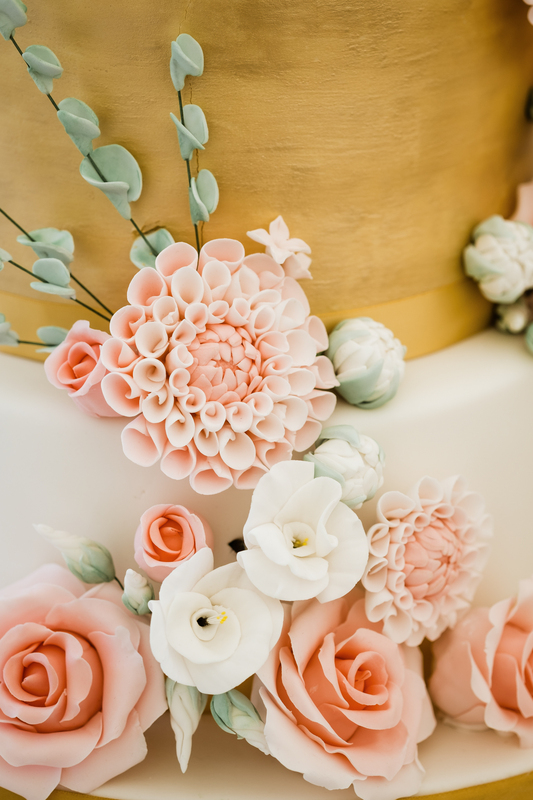 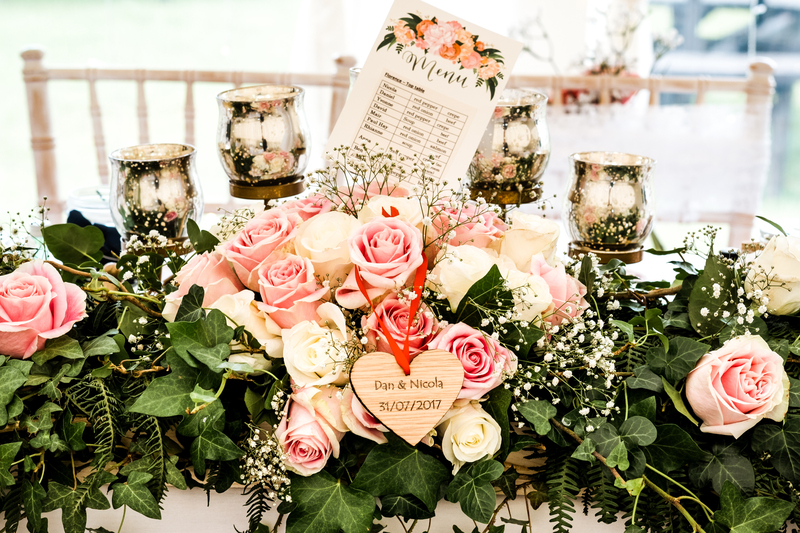 The fabulous flowers were provided by With Love…Flowers and Gifts, Llantrisant. 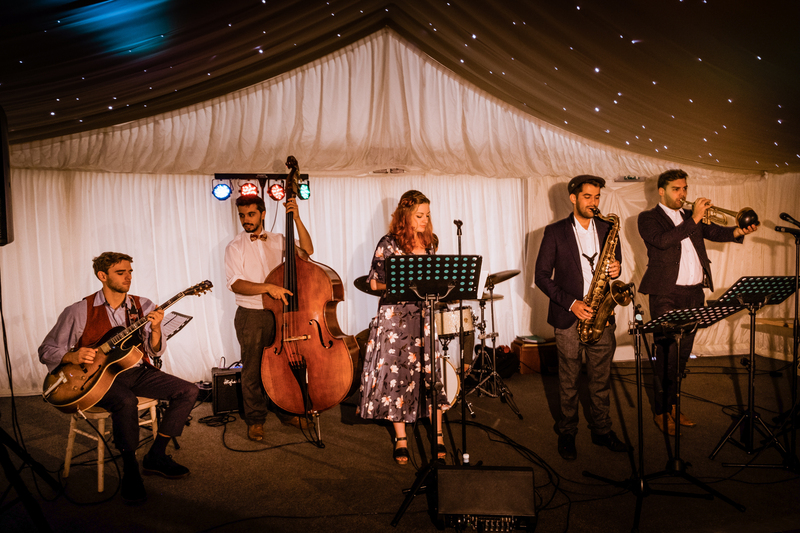 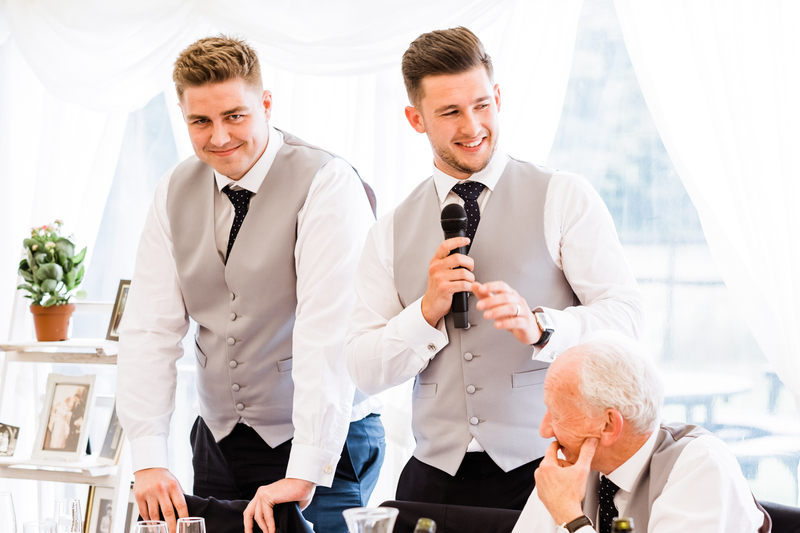 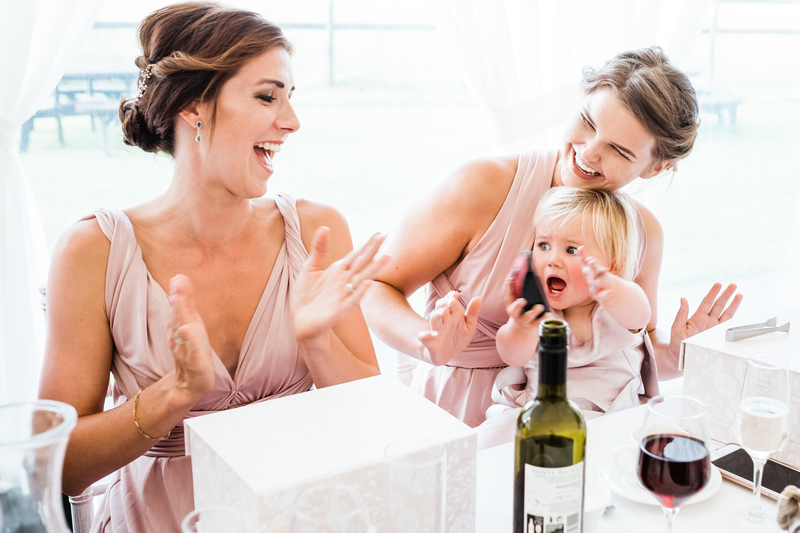 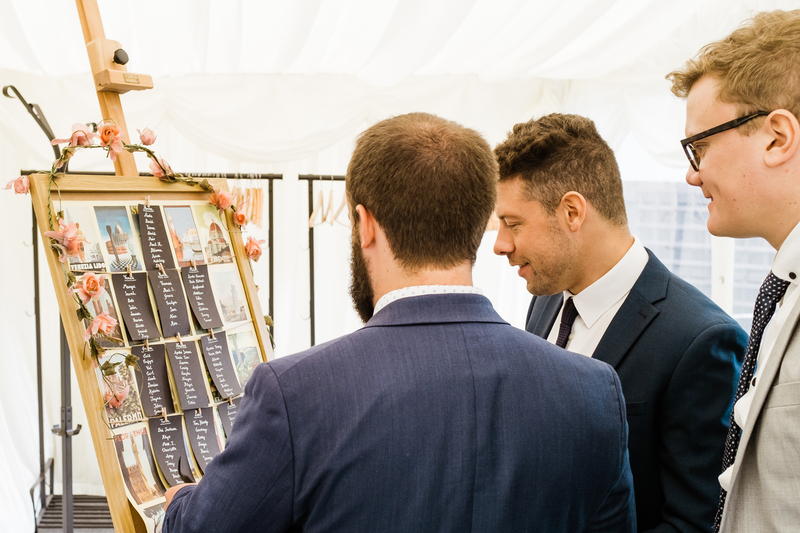 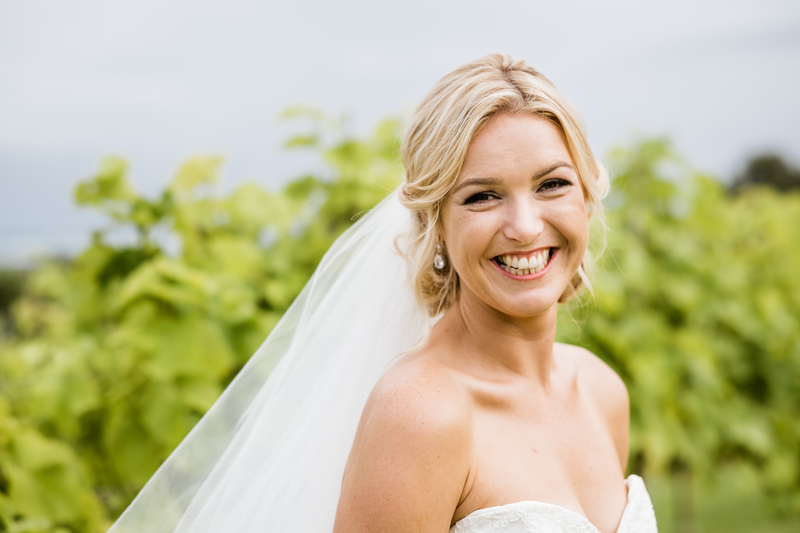 The Llanerch Vineyard wedding co-ordinator Claire and her team are amazing. 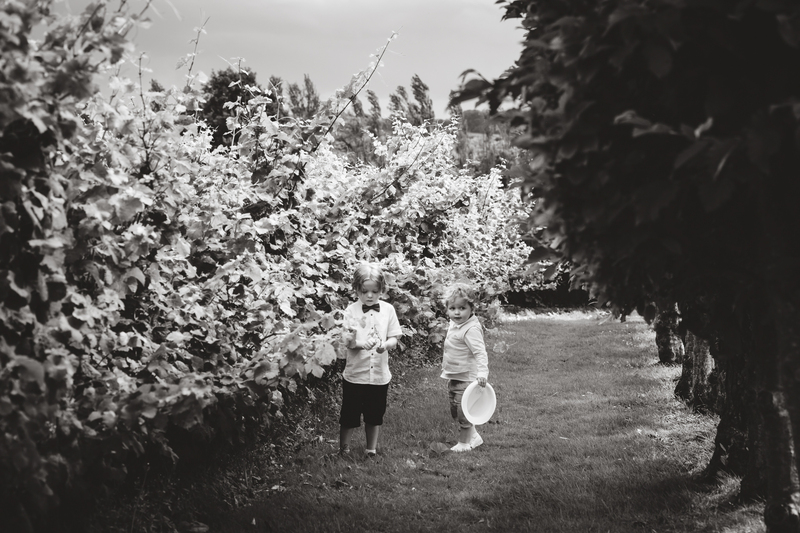 They do a first class job, paying attention to every detail. 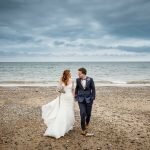 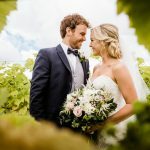 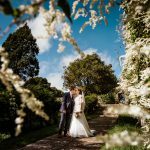 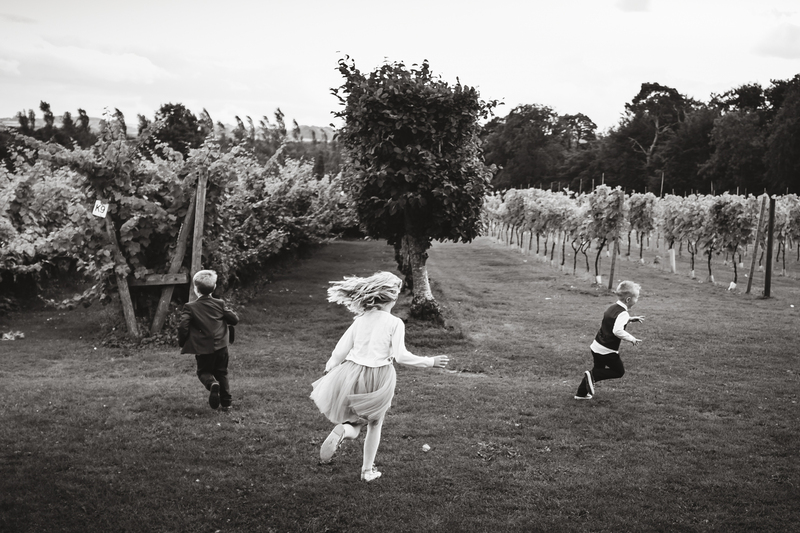 We photographed three Llanerch Vineyard weddings in a row this year! 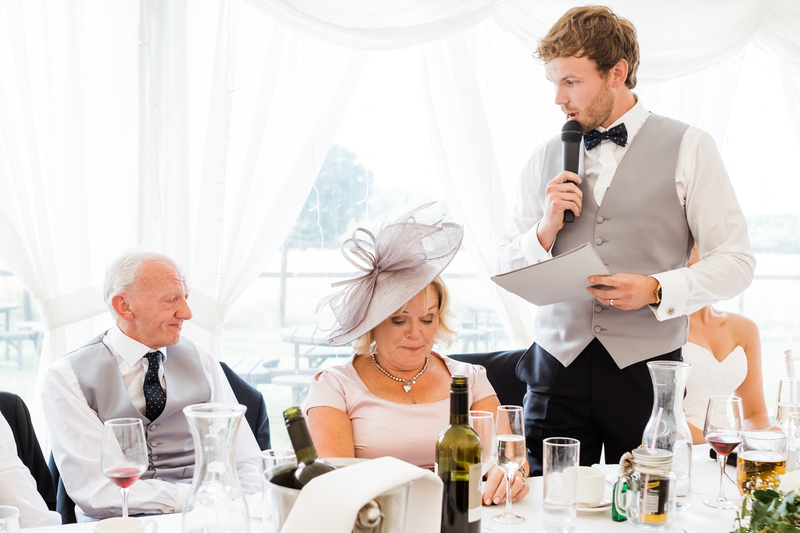 We really appreciated how they looked after us, we even had our own personalised Bistro menu. 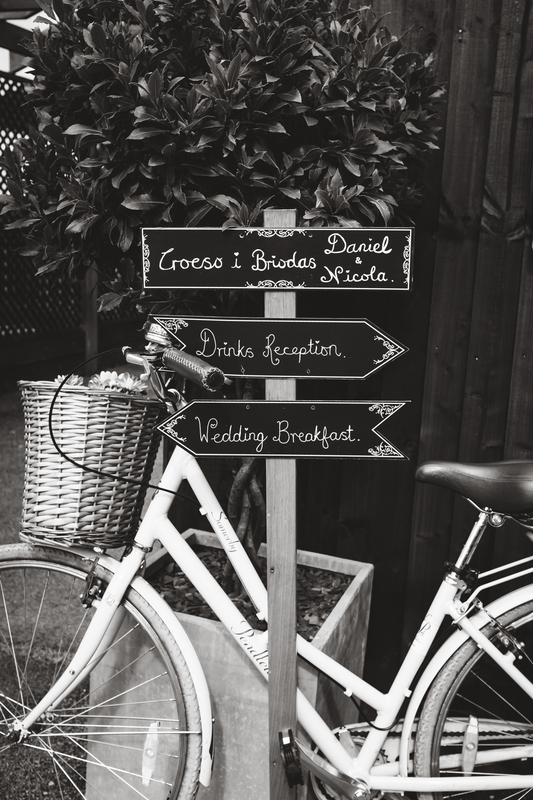 providing a completely different setting for the guests. 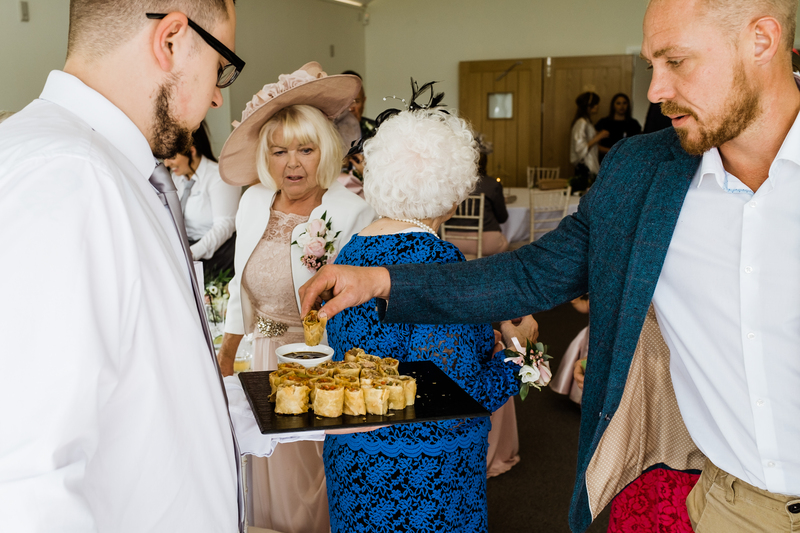 They were treated to more mouth-watering food, served with their usual efficiency by the friendly staff. 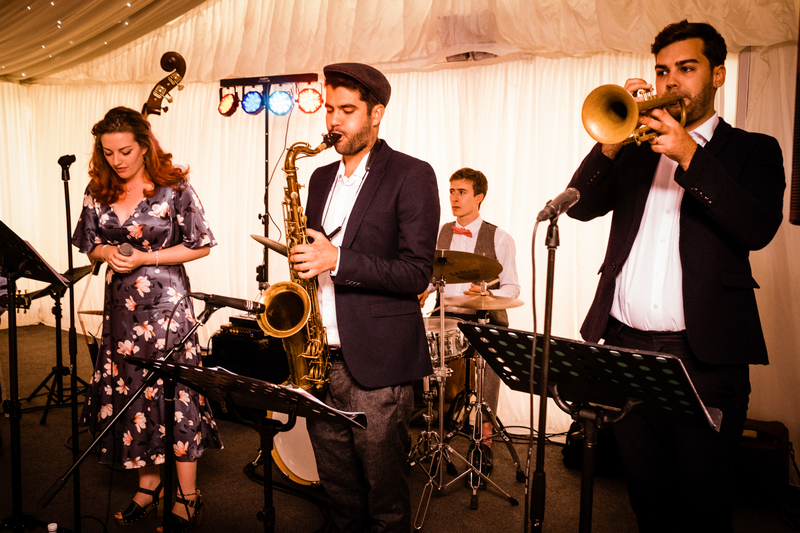 Before the evening entertainment by jazz band ‘Hot Shoes Spring’, we went for a stroll. 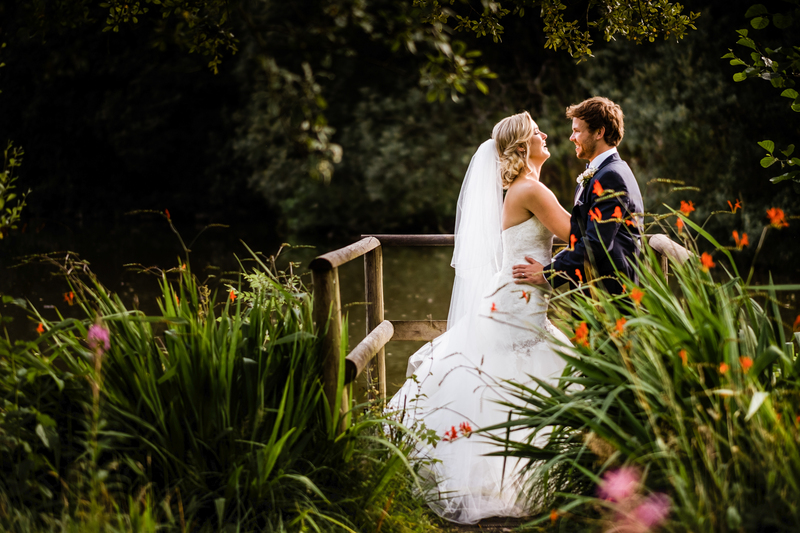 We took Nicola and Dan for some photographs in the golden hour of sunset. 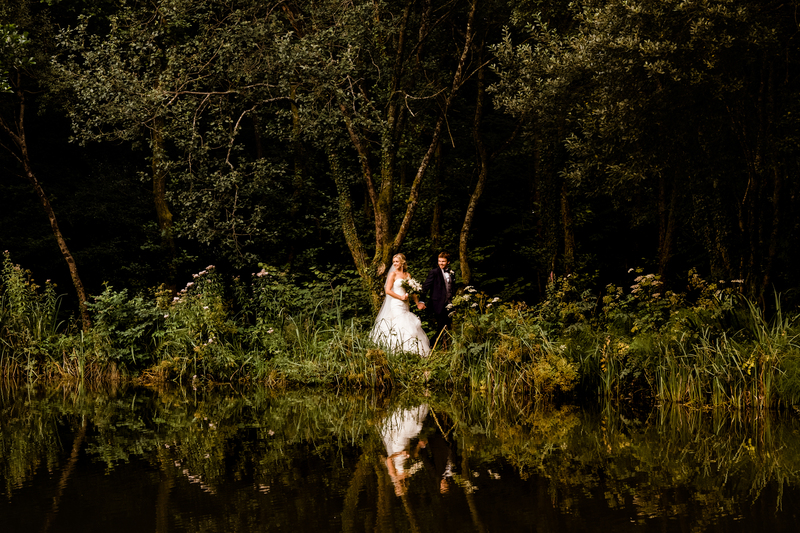 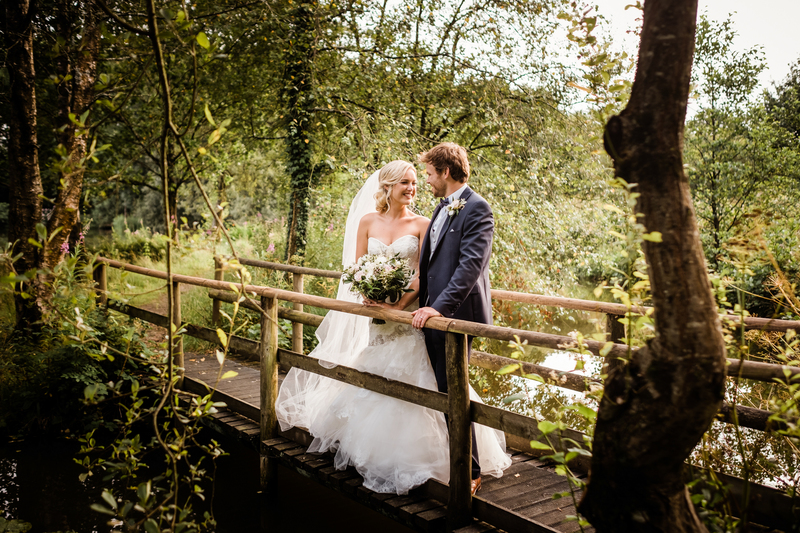 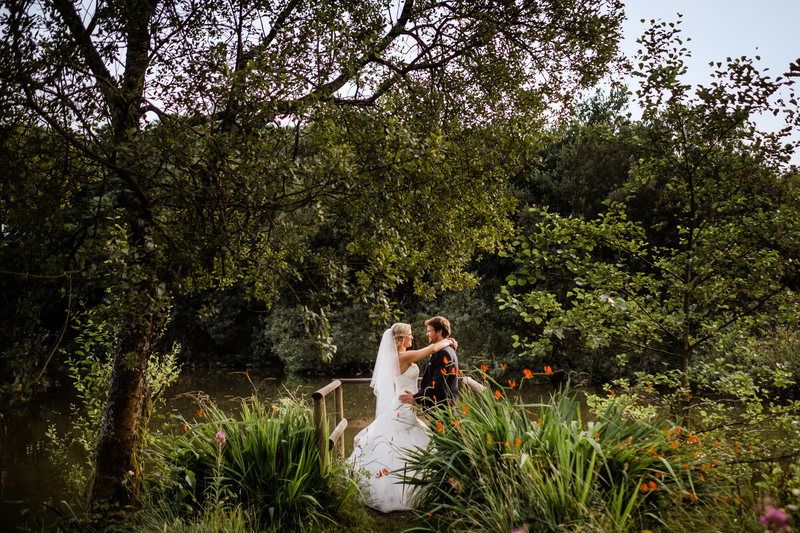 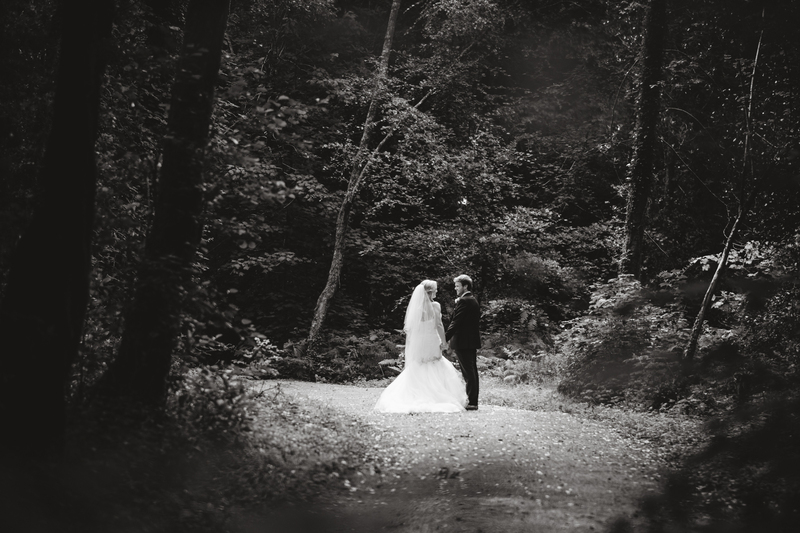 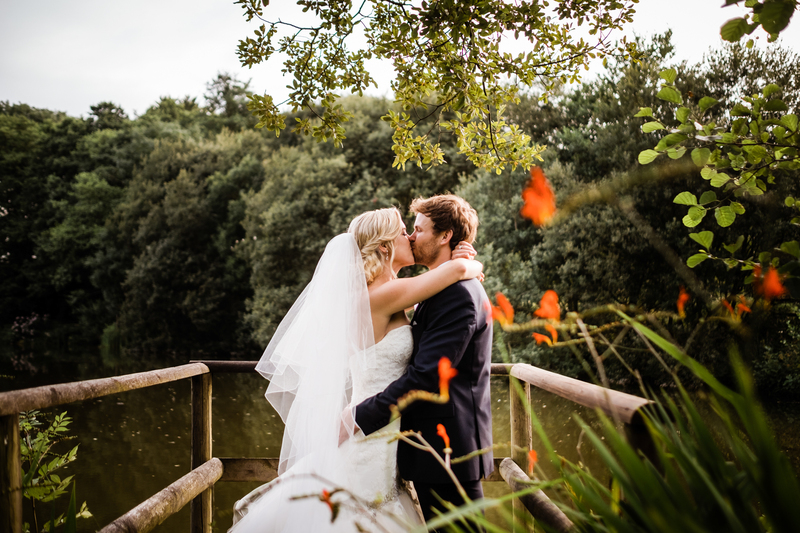 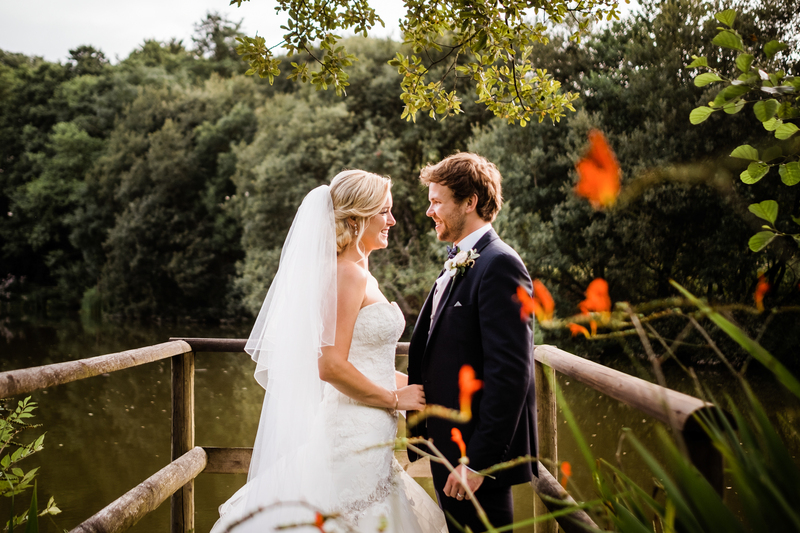 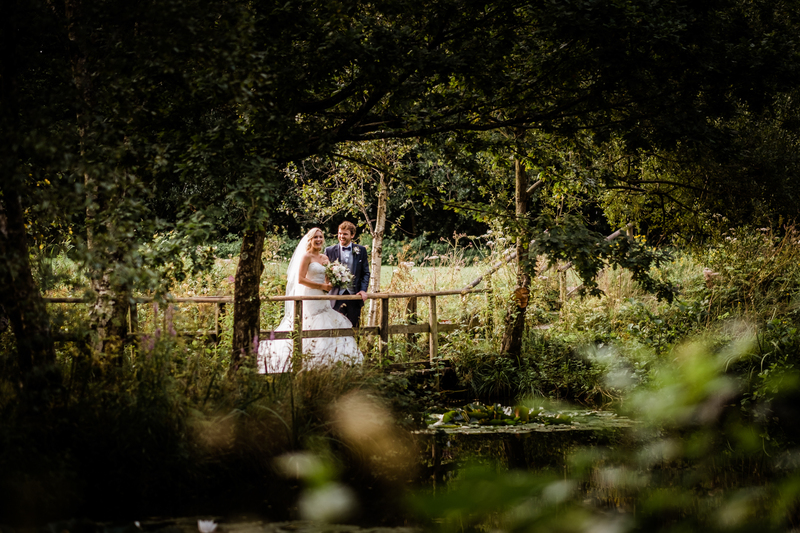 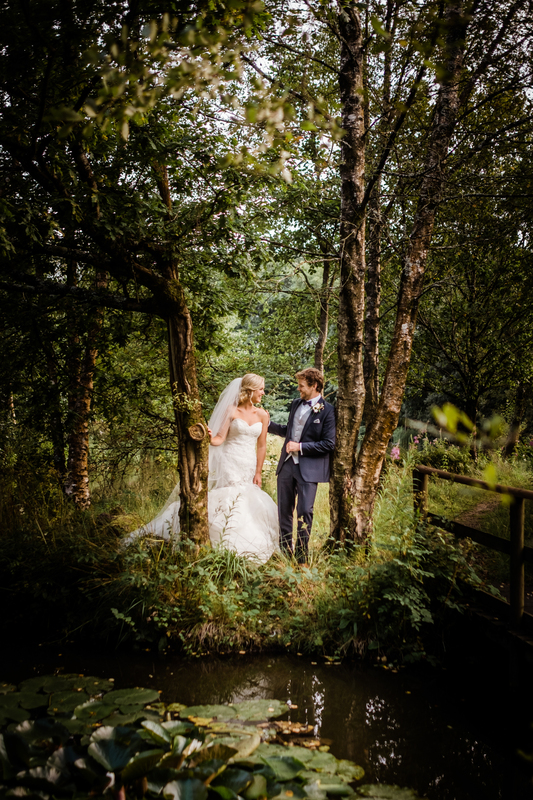 The lake and woods at Llanerch Vineyard are another gorgeous backdrop for some intimate and romantic photos. 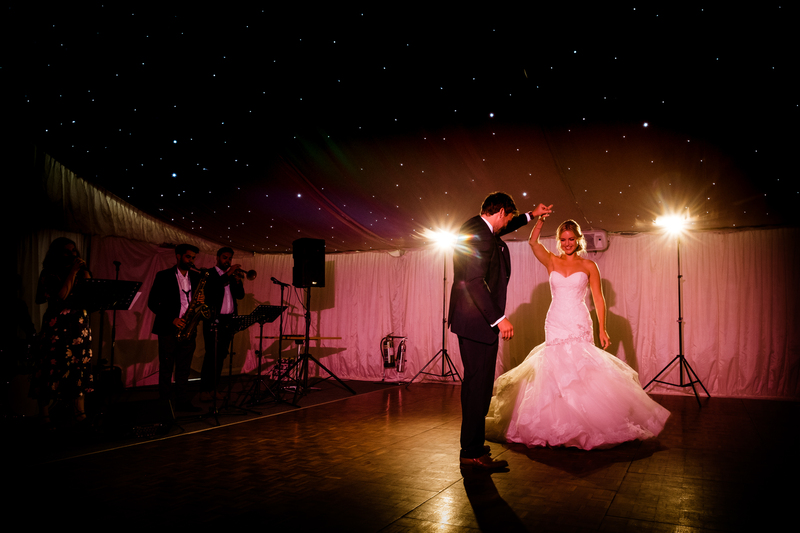 Nicola and Dan are so much fun to work with! 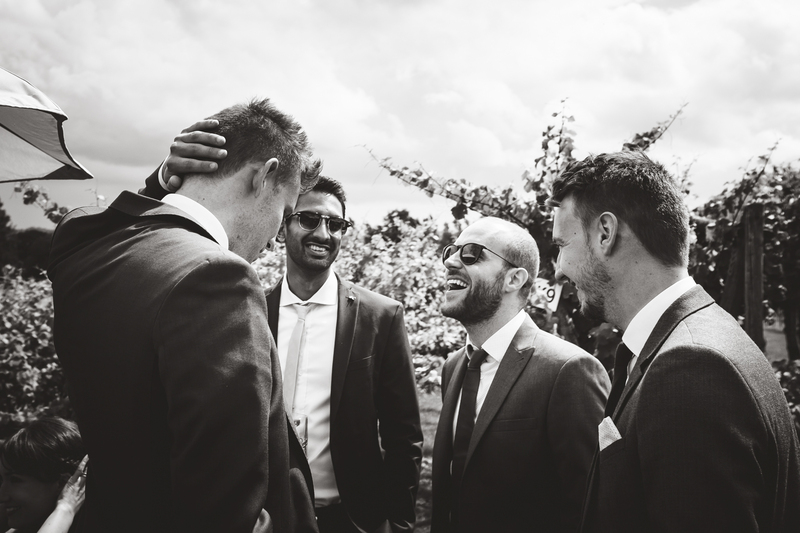 They never stop smiling and laughing. 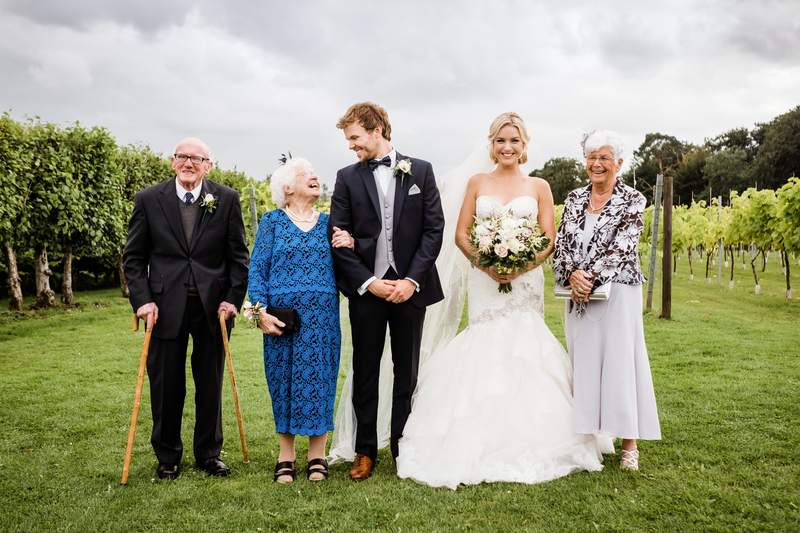 The whole day they radiated happiness and love.